On the Wednesdays we have Committee Meetings here at church we have a time of devotions based on the scripture for the upcoming Sunday, and so this past week we reflected on this text. I can’t name who it was exactly, but someone said upon reading this passage what stood out to them was the word “magnifies” and that this magnification brings Christ more clearly into view. Christ more clearly into view. This image has stayed with me throughout the rest of this week. You see, the word “magnificat” comes from the Latin for “magnify,” so of all of the parts of this song, the magnification of God is at the heart of it. And there’s something about this season for me that could use a bit more clarity. I turn on the radio and hear of all the ways I could be spending money or events I could be attending. I open Pinterest or Facebook and see all the traditions I could be establishing with Calvin and David, or the perfect display of food that I could bring to my family’s celebration. If I’m not careful I spend a lot more time looking at to do lists than looking to the savior whose birth we are remembering. What would it look like for our souls to magnify the Lord? For Mary it meant giving her full self in service of God’s kingdom. I don’t believe it was simply a matter of surrender, rather it was an act of co-creation, a divine collaboration of God’s incarnation and Mary’s humanity. She refers to her lowliness and acknowledges how worth is transformed in God’s economy: power brought down, lowly lifted up. Jesus comes as the revelation of love from God and the revolution of justice for Mary and all God’s people. We magnify the Lord through our own collaborations with God, seeking God’s will and acting out of the creative capacity that God has given us. Our acts of love and justice make space for God’s kingdom to be manifest in our communities, families, and individual lives. Most, however, don’t feel a defined call to ordained ministry or are visited by an angel who spells out the ways that we will “magnify the Lord.” Given the frustrations that a lack of direction can bring us, it’s tempting to say that following God’s will was less complex for Mary. It can be easy to take Mary’s joy at face value. She has been chosen to be the mother of Jesus, why wouldn’t she be joyful? She’s going to be celebrated for generations to come! How lucky is she? But things were more complicated than this song may lead us to believe. We know after all that she was bringing Jesus into a world that didn’t look kindly on women, or the poor, and particularly not unmarried pregnant women. We also know that though Jesus was sinless, it was not necessarily easy to be his parent. There’s only one account of Jesus as a child and it involves him breaking away from their traveling group, staying behind at the temple, and essentially scaring his parents to death when they thought he’d been lost. I’d imagine that this wasn’t the only story of his rebellion throughout his childhood. Divinely guided or not, any parent would be stressed out trying to keep up with a child as precocious as this one story paints him to be. And then of course, there’s Jesus’ adulthood. How different things look for Mary a little over 30 years later: her son, her beloved Jesus is arrested, mocked, beaten, and crucified. As Simeon tells Mary at Jesus’ temple dedication, “This child is destined for the falling and rising of many in Israel … and a sword will pierce your own soul too” (Luke 2:34–35). Just in that first week of parenthood I’m sure that prophecy gave her several gray hairs at the thought of it. This soul, all too soon to be pierced by grief, is first the site of God’s magnification, bringing God close, not just through a magnifying glasses optical illusion, but through living and breathing, flesh and blood incarnation. It’s not about pointing to some divine presence in the skies, but rather pointing to our God at work in the right here and right now. In the same way, she points to how in God the lowly aren’t just comforted where they are, but they are given positions of honor and their voices are valued. 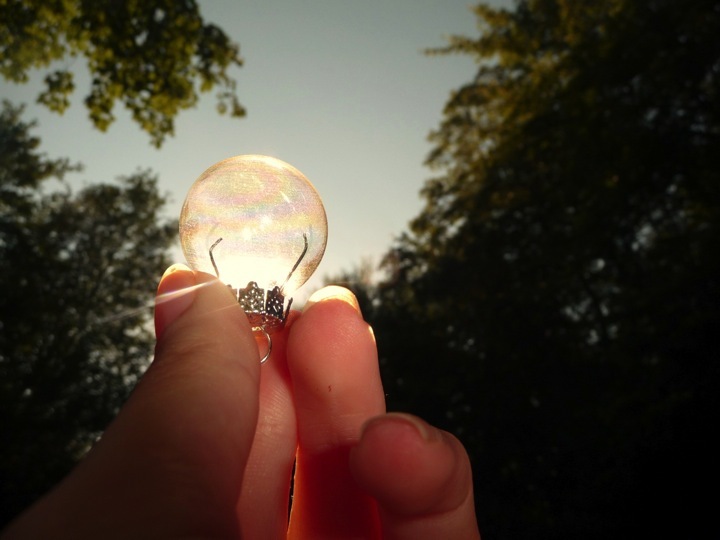 But magnifying doesn’t just provide clarity, it can also serve as a way to focus light, even to the point of creating fire. Sometimes that focused light-turned-heat looks like anger at injustice, protesting and speaking out against oppression. Sometimes it looks like creative passion, making beauty and art that bring hope or move people to compassion. And sometimes it looks like shining a light on what has been kept secret in the darkness, speaking out about abuse or shame, telling the truth about who and whose we are, knowing that the truth will set you free. All of these are ways that we, and others of God’s children, magnify God’s love, and create more light through our lives. Perhaps this a way that God will be magnified in your soul: through shedding light on a theology of God’s expansive love. 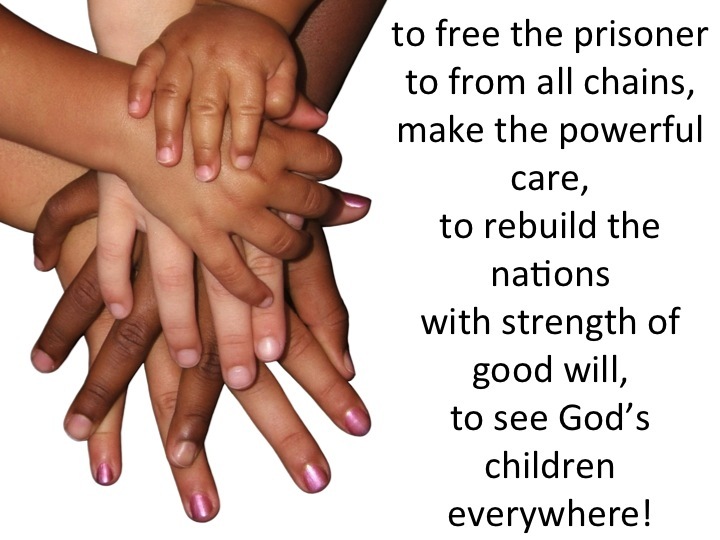 Through acknowledging all people as God’s beloved children. Perhaps there is another frontier of compassion and justice that you are called to ignite through your magnification. Where are the powerful that God will bring down or the lowly to be lifted up? 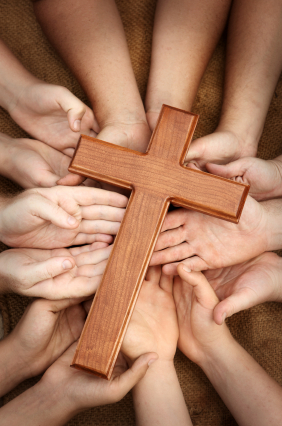 How can you collaborate with our God of justice to pair flesh and blood with the divine? May our souls ever magnify the Lord. Amen. This service of lessons and carols is based on the wider narratives surrounding the Christmas story, encompassing the stories of the Three Wise Women, Elizabeth, Mary, and Anna. This service was assembled by Rev. Kathleen Henrion for worship at First Presbyterian Church of Holt, MI on December 28, 2014. All poetry, songs, and scripture belong to the attributed authors and publishers. Leader: God did not wait till the world was ready, till…the nations were at peace. 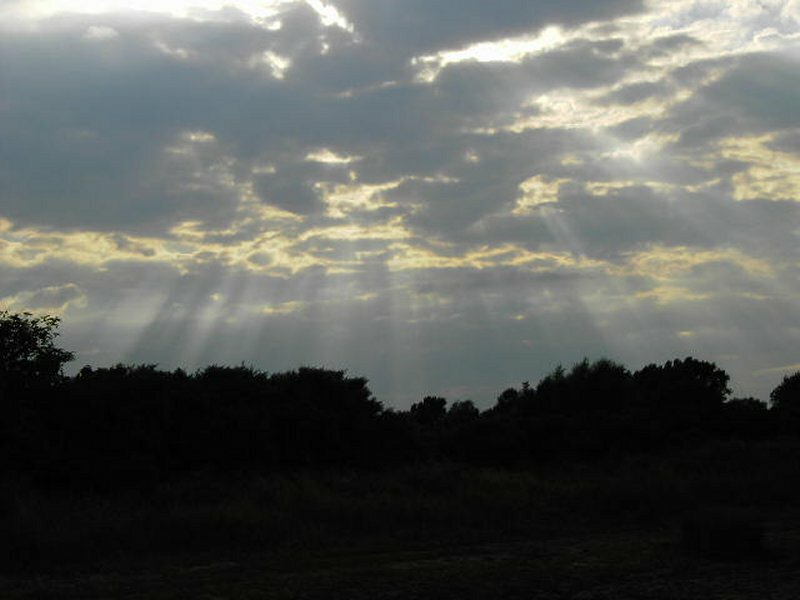 People: God came when the heavens were unsteady, and prisoners cried out for release. Leader: God did not wait for the perfect time. God came when the need was deep and great. 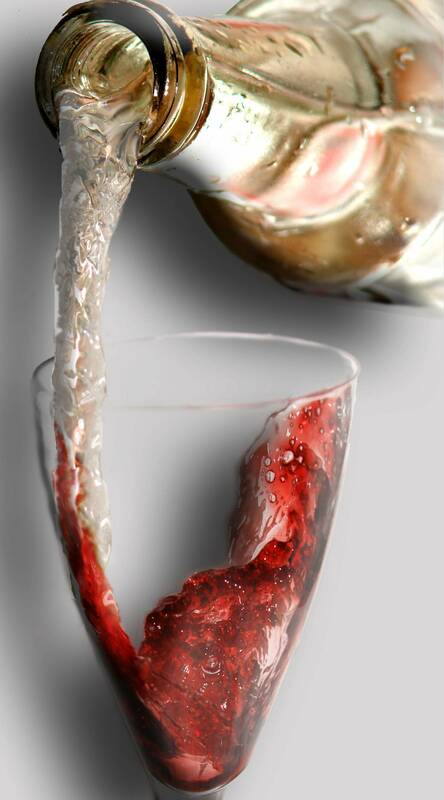 People: God dined with sinners in all their grime, turned water into wine. God did not wait till hearts were pure. Leader: In joy God came to a tarnished world of sin and doubt. 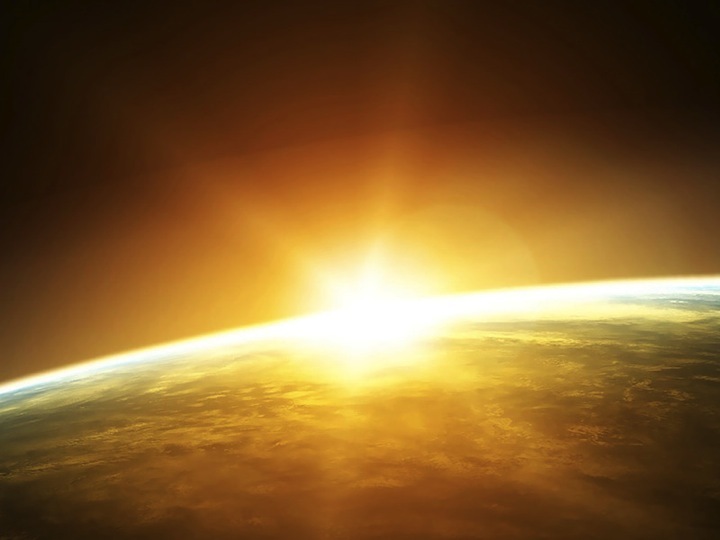 People: To a world like ours of anguished shame God came, and god’s light would not go out. Leader: God came to a world which did not mesh, to heal its tangles, shield its scorn. 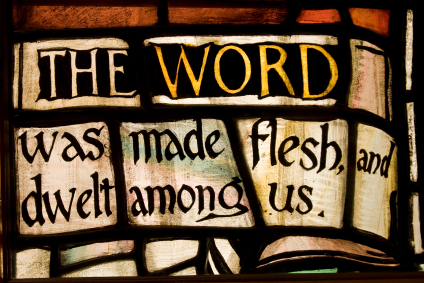 People: In the mystery of Word made Flesh the Maker of the stars was born. People: God came with Love: Rejoice! Rejoice! 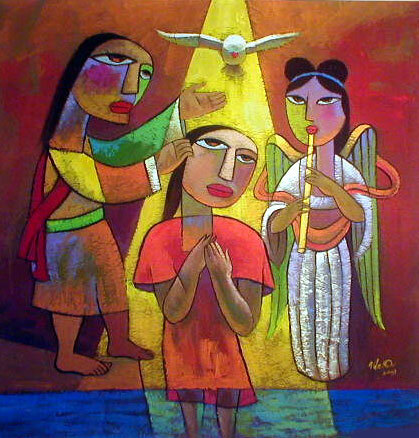 Prayer of Illumination: Emmanuel, ever-present God, open our ears and our hearts to your presence here among us today. May we come to know you better through the scriptures read, the old and new poems shared, and the feelings evoked in own personal reflections. Amen. 5 In the days of King Herod of Judea, there was a priest named Zechariah, who belonged to the priestly order of Abijah. His wife was a descendant of Aaron, and her name was Elizabeth. 6Both of them were righteous before God, living blamelessly according to all the commandments and regulations of the Lord. 7But they had no children, because Elizabeth was barren, and both were getting on in years. Striving to keep his commandments. All this – echoes of despair, lost faith, abandonment. My silence is God’s silence. Faith as barren as a womb). My silence is God’s answer, disbelieved. Declaring that God will make the hearts of his people fertile again. Calling to God’s people in stereo-surround sound. That will not be silent for long. 26 In the sixth month the angel Gabriel was sent by God to a town in Galilee called Nazareth, 27to a virgin engaged to a man whose name was Joseph, of the house of David. The virgin’s name was Mary. 28And he came to her and said, ‘Greetings, favored one! The Lord is with you.’* 29But she was much perplexed by his words and pondered what sort of greeting this might be. 30The angel said to her, ‘Do not be afraid, Mary, for you have found favor with God. 31And now, you will conceive in your womb and bear a son, and you will name him Jesus. 32He will be great, and will be called the Son of the Most High, and the Lord God will give to him the throne of his ancestor David. 33He will reign over the house of Jacob for ever, and of his kingdom there will be no end.’ 34Mary said to the angel, ‘How can this be, since I am a virgin?’* 35The angel said to her, ‘The Holy Spirit will come upon you, and the power of the Most High will overshadow you; therefore the child to be born* will be holy; he will be called Son of God. 36And now, your relative Elizabeth in her old age has also conceived a son; and this is the sixth month for her who was said to be barren. 37For nothing will be impossible with God.’ 38Then Mary said, ‘Here am I, the servant of the Lord; let it be with me according to your word.’ Then the angel departed from her. for you to say those words. Leader: for he has looked with favor on the lowliness of his servant. People: and holy is his name. Leader: His mercy is for those who fear him from generation to generation. Leader: he has scattered the proud in the thoughts of their hearts. Leader: and sent the rich away empty. 57 Now the time came for Elizabeth to give birth, and she bore a son. 58Her neighbors and relatives heard that the Lord had shown his great mercy to her, and they rejoiced with her. 59 On the eighth day they came to circumcise the child, and they were going to name him Zechariah after his father. 60But his mother said, ‘No; he is to be called John.’ 61They said to her, ‘None of your relatives has this name.’ 62Then they began motioning to his father to find out what name he wanted to give him. 63He asked for a writing-tablet and wrote, ‘His name is John.’ And all of them were amazed. 64Immediately his mouth was opened and his tongue freed, and he began to speak, praising God. 65Fear came over all their neighbors, and all these things were talked about throughout the entire hill country of Judea. 66All who heard them pondered them and said, ‘What then will this child become?’ For, indeed, the hand of the Lord was with him. People: for he has looked favorably on his people and redeemed them. Leader: that we would be saved from our enemies and from the hand of all who hate us. 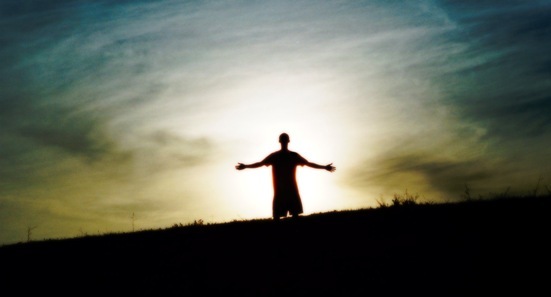 Leader: might serve him without fear, in holiness and righteousness before him all our days. Leader: to give knowledge of salvation to his people by the forgiveness of their sins. People: The child grew and became strong in spirit, and he was in the wilderness until the day he appeared publicly to Israel. In those days a decree went out from Emperor Augustus that all the world should be registered. 2This was the first registration and was taken while Quirinius was governor of Syria. 3All went to their own towns to be registered. 4Joseph also went from the town of Nazareth in Galilee to Judea, to the city of David called Bethlehem, because he was descended from the house and family of David. 5He went to be registered with Mary, to whom he was engaged and who was expecting a child. 6While they were there, the time came for her to deliver her child. 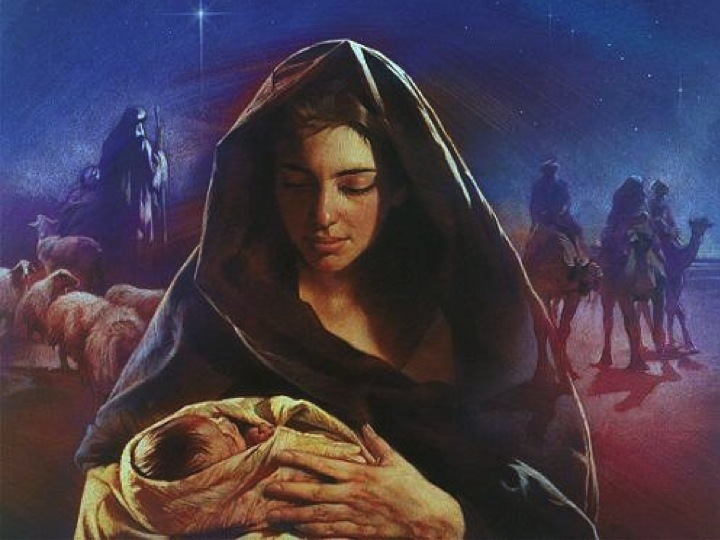 7And she gave birth to her firstborn son and wrapped him in bands of cloth, and laid him in a manger, because there was no place for them in the inn. But here is all alright. But here the true hearts are. 15 When the angels had left them and gone into heaven, the shepherds said to one another, ‘Let us go now to Bethlehem and see this thing that has taken place, which the Lord has made known to us.’ 16So they went with haste and found Mary and Joseph, and the child lying in the manger. 17When they saw this, they made known what had been told them about this child; 18and all who heard it were amazed at what the shepherds told them. 19But Mary treasured all these words and pondered them in her heart. Who would have chosen this? be born here, in this place.” ? 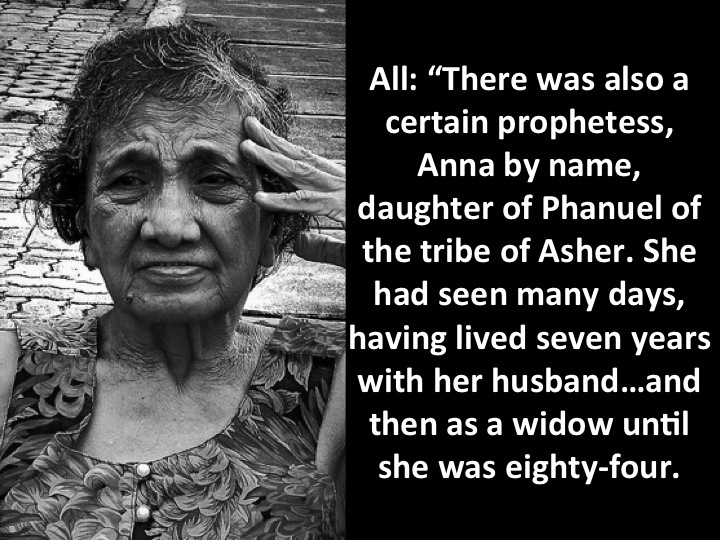 36 There was…a prophet, Anna the daughter of Phanuel, of the tribe of Asher. She was of a great age, having lived with her husband for seven years after her marriage, 37then as a widow to the age of eighty-four. 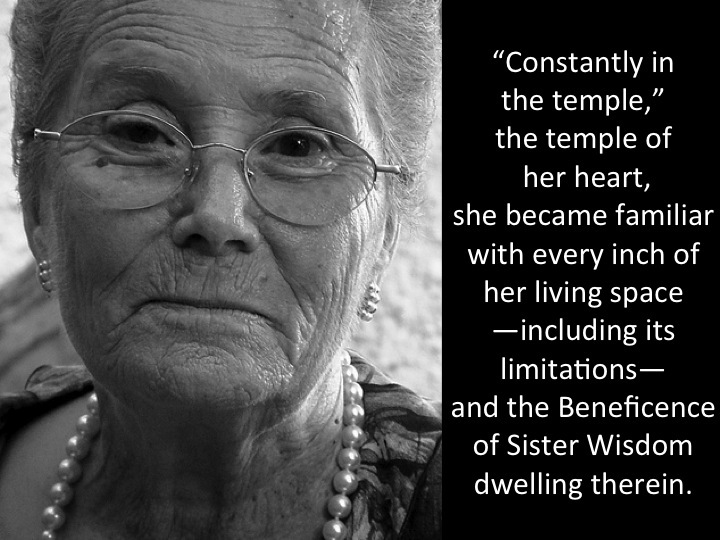 She never left the temple but worshipped there with fasting and prayer night and day. 38At that moment she came, and began to praise God and to speak about the child* to all who were looking for the redemption of Jerusalem. at his Presentation in the temple. 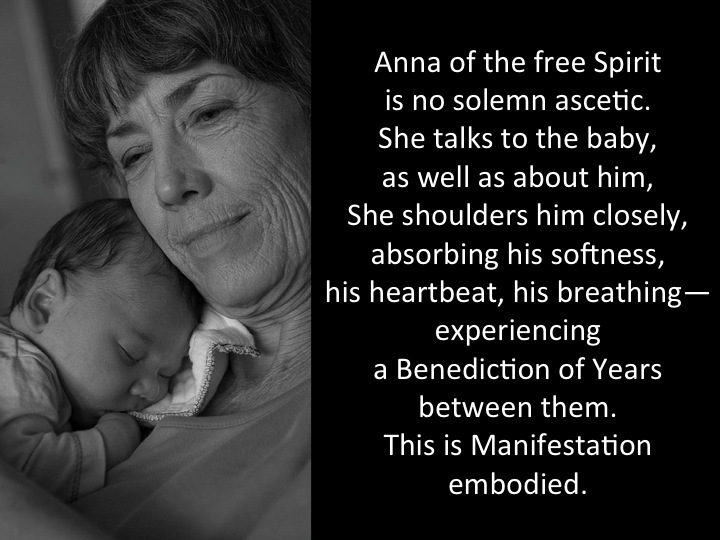 Anna of the free Spirit is no solemn ascetic. experiencing a Benediction of Years between them. Once upon his time, she welcomed The Promised One. 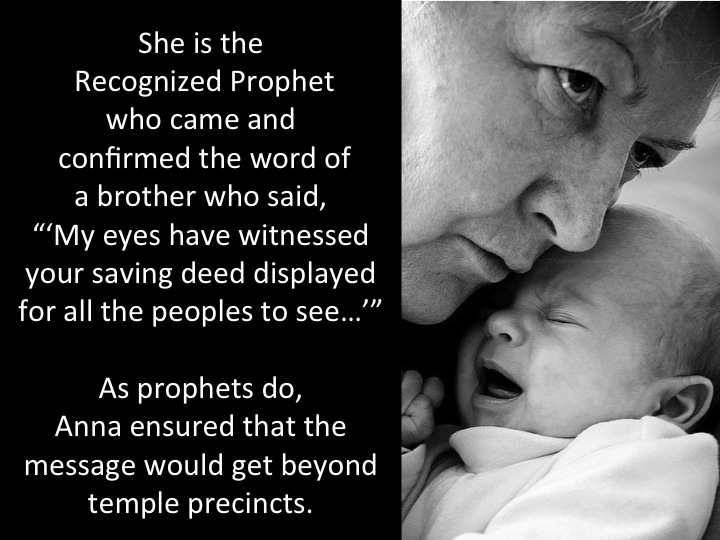 She is more than prophet: she is a grandmother! and parents, who also have dreams. Anna. Dimming eyes, still forward-looking, crinkle with joy. the progression of peace and purpose at any stage of life. Hers is the Holy City. May we respond to this greatest of offering with our own offerings of our times, talents, and tithes. to see God’s children everywhere! Inspired by Dandi Daley Mackall, Three Wise Women of Christmas (Saint Louis: Concordia Pub. House, 2006). Madeleine L’Engle, “A First Coming,” in A Cry Like a Bell, Wheaton Literary Series (Wheaton, Ill.: H. Shaw Publishers, ©1987), 57. Glory to God (Louisville, Ky.: Westminster/John Knox Press, 2013). Craig Joseph, “Zechariah’s Poem,” Plan A :: it all started in Ethiopia stories from our family of five (blog), December 12, 2009, accessed December 29, 2014, http://planaethiopia.blogspot.com/2009/12/zechariahs-poem.html. Julia Ahlers, Rosemary Broughton, and Carl Koch, Womenpsalms (Winona, Minn.: Saint Mary, ©1992). 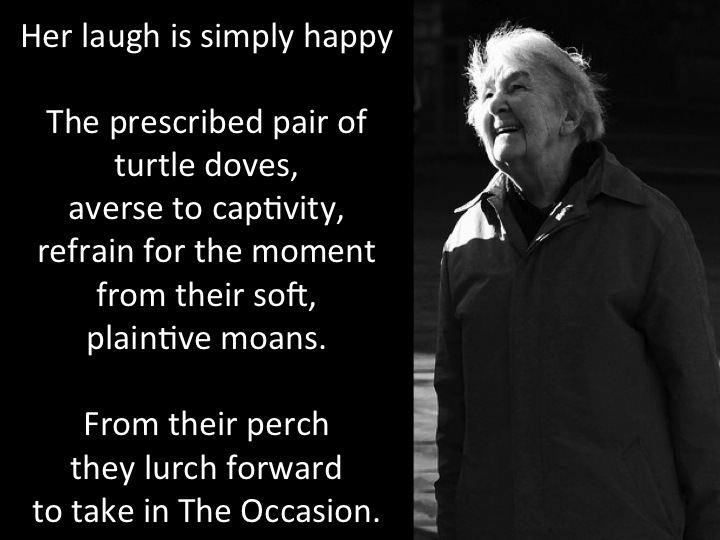 Mary Southhard, “Visitation,” in Julia Ahlers, Rosemary Broughton, and Carl Koch, eds., Womenpsalms (Winona, Minn.: St. Mary’s Press, 1992), 10. Ben Thomas, Zechariah and the Least Expected Places, So Elated, Ben Thomas B001LJVXNC, CD, 2008. “A Christmas Carol” by G.K. Chesterton. Public domain. Leslie Leyland Fields, “Let the Stable Still Astonish,” Leslie Leyland Fields (blog), December 2012, accessed December 29, 2014, http://www.leslieleylandfields.com/2012/12/can-stable-still-astonish-and-6.html. 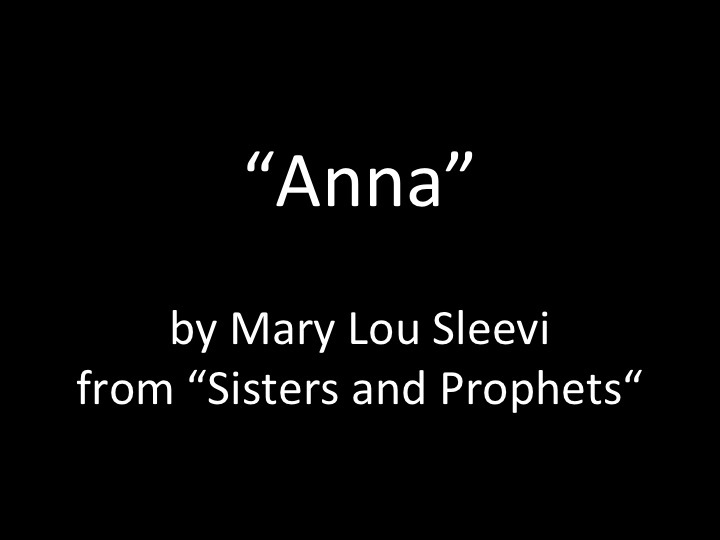 Mary Lou Sleevi, Sisters and Prophets: Art and Story (Notre Dame, Ind. : Ave Maria Press, 1993). Bernarrd of Clairvaux, in The Harper Collins Book of Prayers: A Treasury of Prayers through the Ages, compiled by Robert Van de Weyer (San Francisco: Harper San Francisco, 1993), 64. 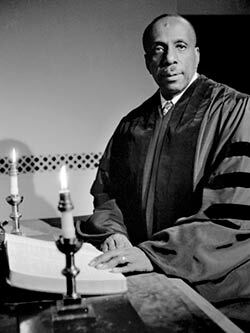 Jim Strathdee, in response to a Christmas poem by Howard Thurman, 1969, quoted in Ruth C. Duck and Michael G. Bauch, eds., Everflowing Streams: Songs for Worship (New York: The Pilgrim Press, 1981), 33. Though they are not necessarily all typical Advent or Christmas songs, here are some songs that are bringing me a sense of hope, peace, joy, and/or love this Advent season. May it be so for you as well! Couldn’t find a transcript of this one and so typed it up myself. Some of the words were unclear which I indicated by […]. I would welcome clarifying suggestions on these lyrics. Will buy all people’s peace with God. And set the world as it should be. He’s Christ the Lord, come and receive. Was there ever one so strange? Will show all people’s peace with God. Our scripture today takes us back in time, far before even the manger scene of that first Christmas, to another restless night. We hear the story of Jacob. 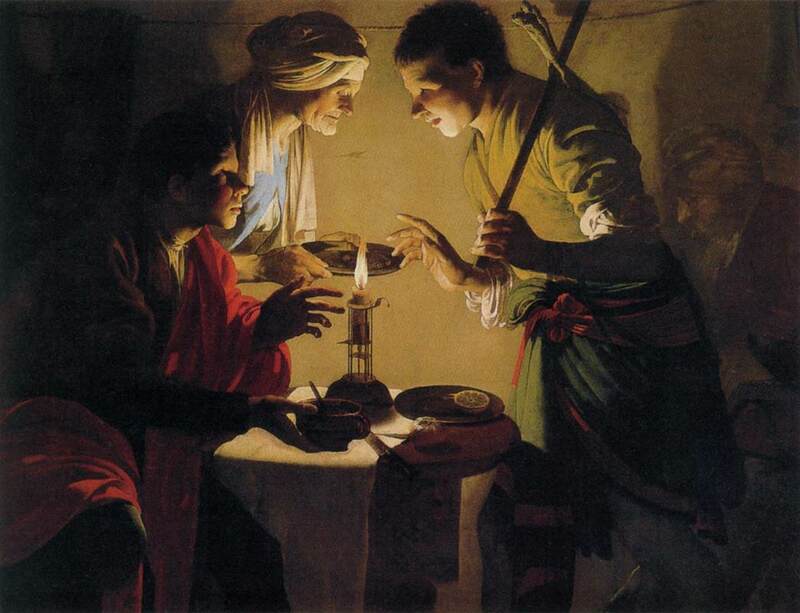 Jacob was on the run from his brother, Esau, from whom he had stolen his father’s inheritance. 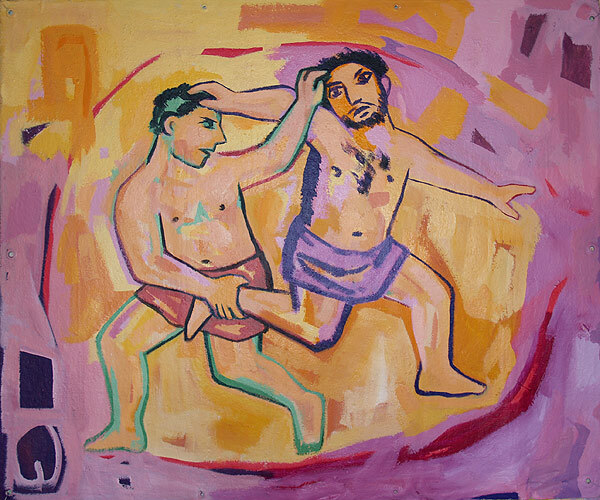 Though they were twins, Esau was the older and therefore by his birthright would be in line to carry on his father’s legacy, which if we can remember our scripture from a few weeks ago was that same one given to Abraham: that the people would be faithful to God and God would bless them with abundant descendants. But Esau’s mother, Rebekah, had other plans. She did not like Esau’s wife, Judith and so wanted her son Jacob to take his place in the family lineage. Jacob and Rebekah schemed together so that when it came time for his ailing father, Isaac to die Jacob imitated his brother’s appearance and took his blessing for the inheritance. And then Esau, understandable angry, vowed he would kill him. 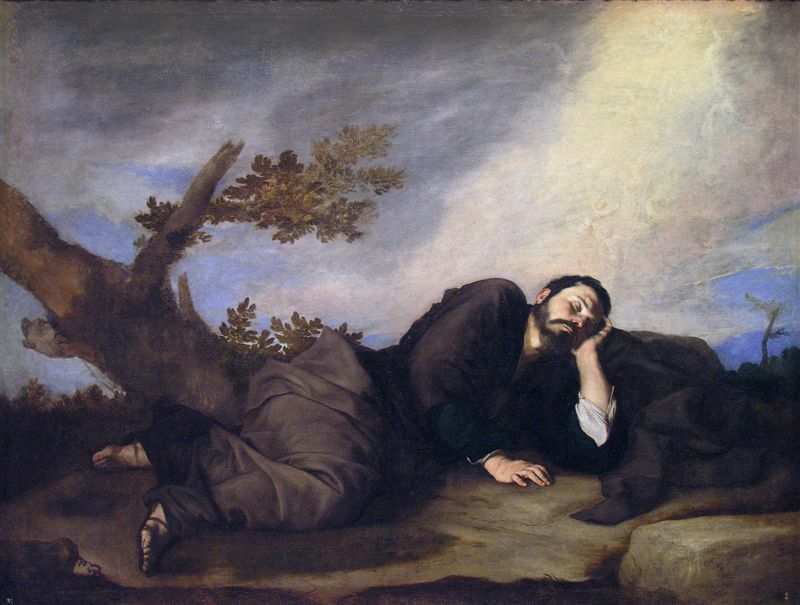 It is in the midst of this crazy family drama that Jacob finds himself in “a certain place,” lies down with a rock for a pillow, and has a dream. Why is it that this dream comes to Jacob? Jacob was the one who took the inheritance of Esau. Jacob deceived his father and betrayed his brother. By all measures God could just write off Jacob as a schemer and a thief, but God doesn’t do that. 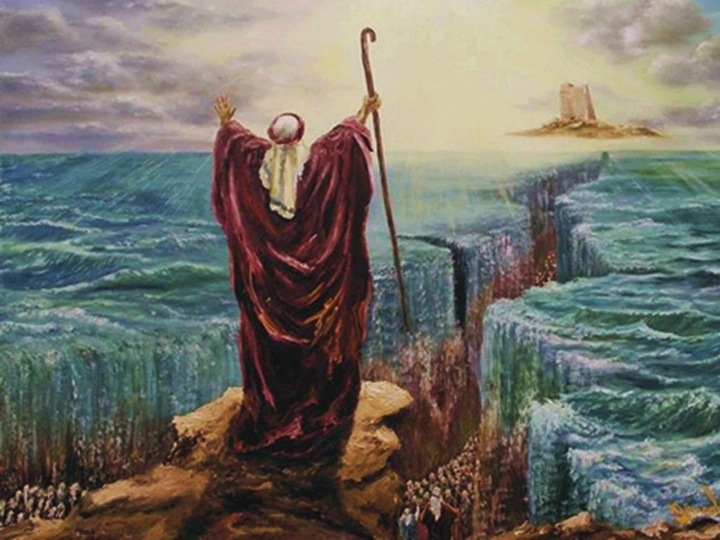 God blesses Jacob anyways. We too could be seen as inheritance thieves, because we only become inheritors of God’s grace through Jesus Christ. As Paul teaches the Romans, “For the wages of sin is death, but the free gift of God is eternal life in Christ Jesus our Lord.” Unlike Esau, Christ doesn’t vow to kills us, but rather takes on death in our place. Thanks be to God that there is no such thing as “anyways” in God’s value system! Have you ever had a moment like that? Where you are just so aware that God is present in that space that you want to mark it down, want to remember that location forever in some sort of divine foursquare check-in. If I asked you where God lives, what address would you provide? Perhaps a church address? Maybe the Vatican or Mecca? Up in heaven in a house with many rooms? Or is it your own “certain place,” some rocky field somewhere between where you’re no longer wanted and the unknown beyond? For thousands and thousands of years people have been trying to get a hold of that address. 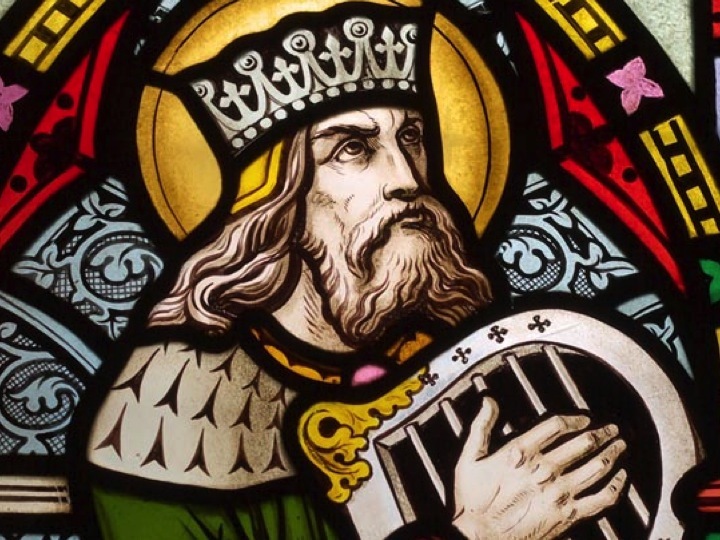 In Second Samuel, King David tries to build a house for God to contain God’s divinity. But God’s answer to God’s location is right in what God says to Jacob, “Know that I am with you and will keep you wherever you go…for I will not leave you until I have done what I have promised you.” Any address we give to God is only temporary. 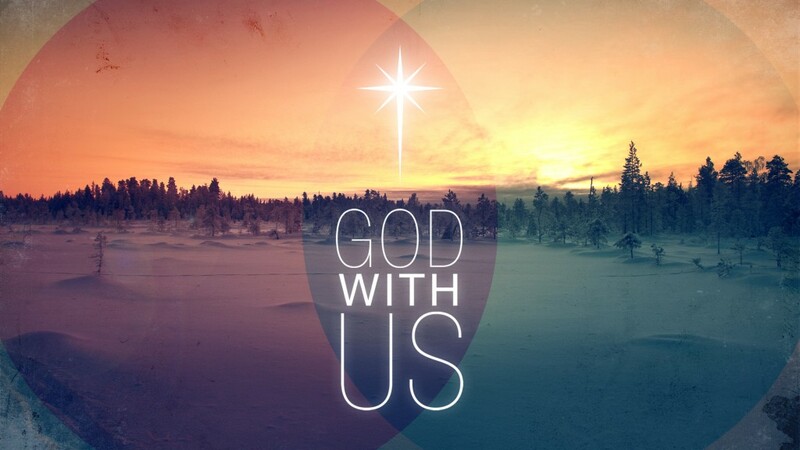 God’s presence is with us always. Every year at Christmas we affirm that Jesus is Immanuel. 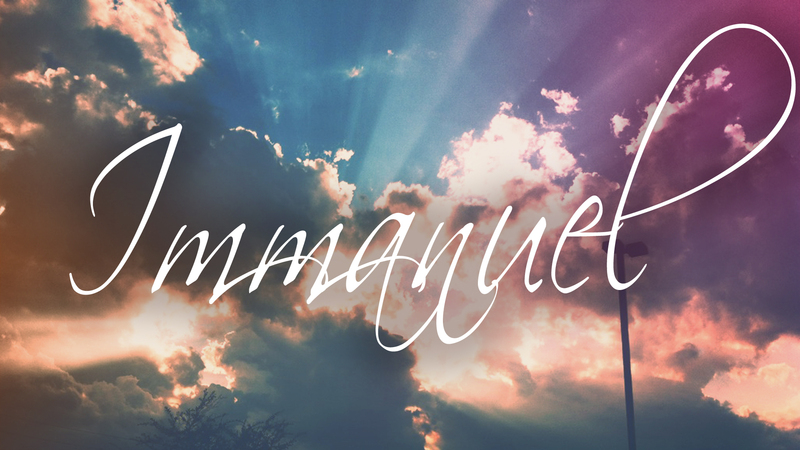 Immanuel means “God with us.” May we always remember it is so. Amen. New Years Eve I was delighted to count down the New Year with David, my best friend Claire, her husband and their son, sweet 2-year-old James. This past week I was able to spend a bit of time with former interim pastor, Christine and her dear son Jacob. I remember hearing the news of each of these pregnancies was quite exciting. There were baby showers, advice given, well wishes, and I’m sure their stomachs were rubbed more often than they could count. Ever since the babies were born they’ve had visits from excited family members and friends, countless memorable family photos, and birth announcements of all sorts. Over 2000 years ago, Isaiah prophesied Christ coming into this world. Angels told Mary she would be a mother and Joseph that he would be a father. There was even a Heavenly birth announcement in the form of a bright star in the sky. But aside from a visit with her cousin Elizabeth, Mary had no real baby shower. 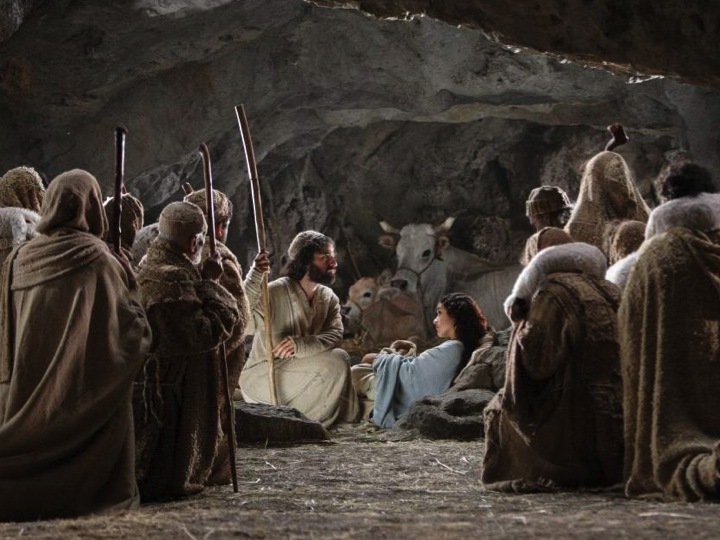 Jesus’ birth happened in a crowded manger heated only by the warmth of barnyard animals. They were visited not by family and friends, but by wise men, shepherds, and angels. I’d like to see that odd crew try to bring their frankincense and myrrh past hospital security these days. It’s strange to be talking again about the birth of Jesus, but our church calendar brings us today to the “Presentation of Jesus,” celebrating Jesus’ introduction into their community, into the world he had come to save. 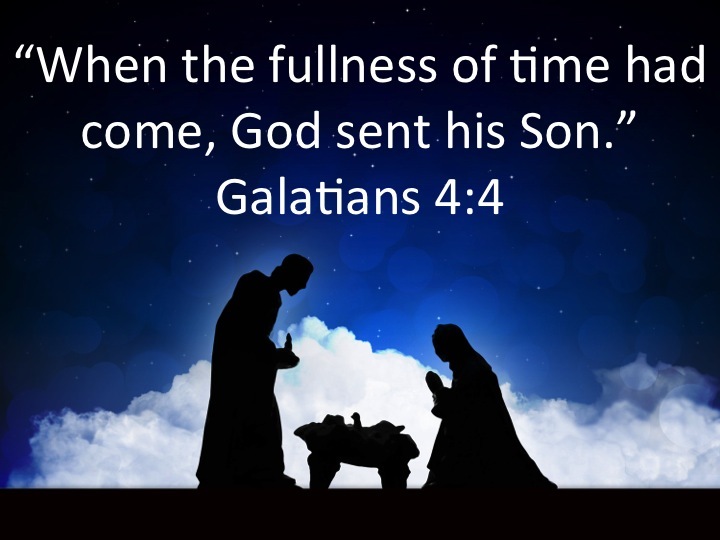 Galatians 4:4 tells us, “when the fullness of time had come, God sent his Son.” The fullness of time means that Christ’s birth was not intended to be a surprise, Christ came exactly when and where and how and to whom He was meant to come. Yet, the world was not ready. Just as the inns of Bethlehem were occupied, the people’s thoughts were occupied by their own schedules and census travel plans. Pregnancy carries it’s own “fullness of time.” There is a set amount time that a woman is pregnant. If she gives birth any earlier, it is cause for concern, any later and most doctors will induce the labor to help the mother and child along. Knowing of the pregnancy, one can begin to prepare, decorate a nursery, and celebrate with family and friends. It is an exciting time of anticipation and hope. Imagine how different a pregnancy is without this sort of preparation. 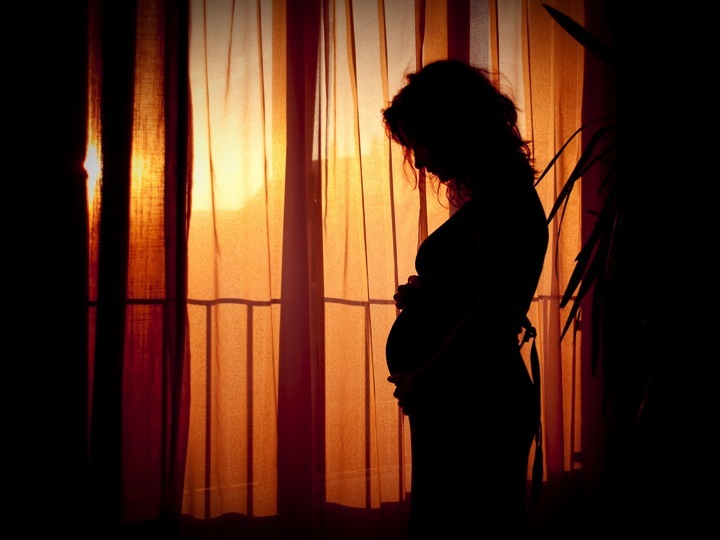 There are pregnancies that carry more fear than hope: The couple who has suffered a miscarriage and is wary to expect that this time, things will be okay; a young unmarried mother who just wants to hide what is happening insider her, and doesn’t dare speak it out loud; or a woman who doesn’t know she is pregnant, something that doesn’t happen all that often, but just often enough that there is a series on TLC about this experience. Each of these circumstances carries it’s own fear, pain, and yet still, hope. Ever since Isaiah’s prophecy the Judaic world had been looking for a messiah. But over time it seems the anticipation inflated expectations. A savior for the world had to be a great king, right? Surely he would be born in a fortress, or castle, or temple, or at the very least, a nice home. Excited for the messiah, they forgot how God works. Since God created all things, God does not place a value system on a person based on how the world sees potential. In fact, more often than not God picks the least and the last and the meek. 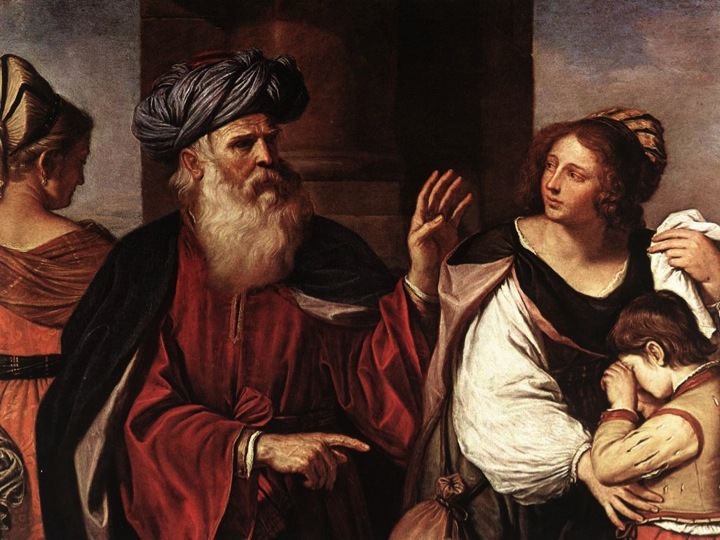 It seems people forgot that Abraham who became the father of many nations, was first cowardly about his marriage to Sarah and so unsure of how God was going to give them an heir that he had a child with his wife’s servant. They didn’t remember that Moses who led the people out of Egypt was also a murder and poor public speaker. They forgot the long list of faults David carried with him even while becoming a great king. So while we can look at first century Bethlehem with clear hindsight and see that of course God would chose to become incarnate as a meek and humble infant to serve the humble and meek, this was not so clear to the people of that time. So when Jesus showed up in the midst of a census, in a town with no vacancies, the bright star in the sky seemed to be no more than coincidence to the devout religious scholars. 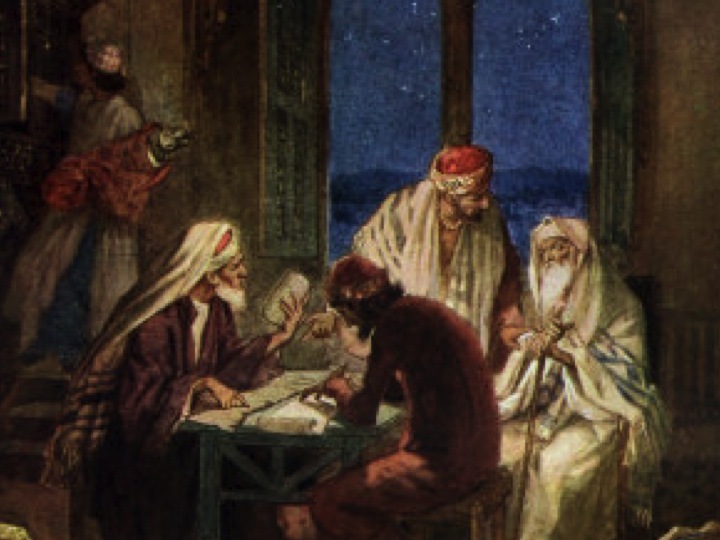 They were so busy trying to follow God as they had been told through stone tablet commandments and wound up scrolls of Torah law that they were unaware that God incarnate was living and breathing in the world. While the world was given many signs of Christ’s birth, they were not throwing baby showers, keeping an eye out for young pregnant women, or looking towards young children, looking in their eyes for a savior. Rather they react more like a mother who didn’t know she was pregnant. When they hear of Jesus’ birth they react, not by worshipping their savior, but with disbelief and fear. One of my favorite characters surrounding Christ’s birth is Simeon, who Joyce read about in our text today, and who was acted out by Rich Bucknell on Christmas Eve. Simeon has been waiting for the birth of the Messiah. The Holy Spirit revealed to Simeon that he would see the Messiah before his own death. 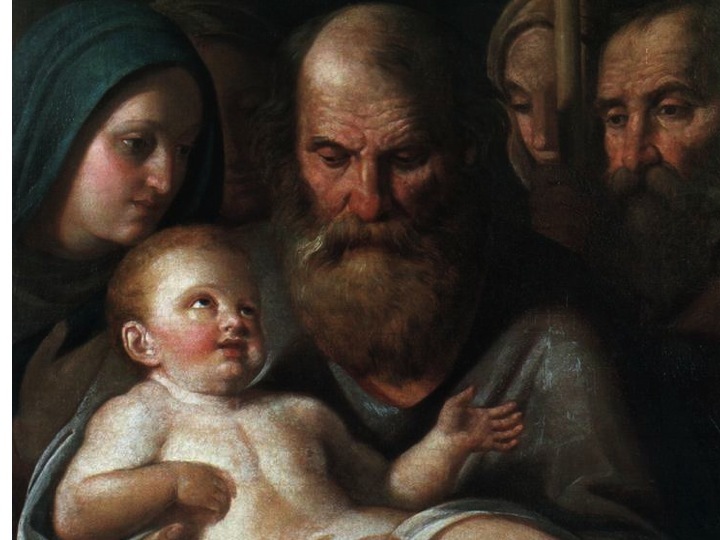 The Biblical account doesn’t tell us much about the character of Simeon, but early Christian folklore provides some interesting stories on this “righteous and devout” man. 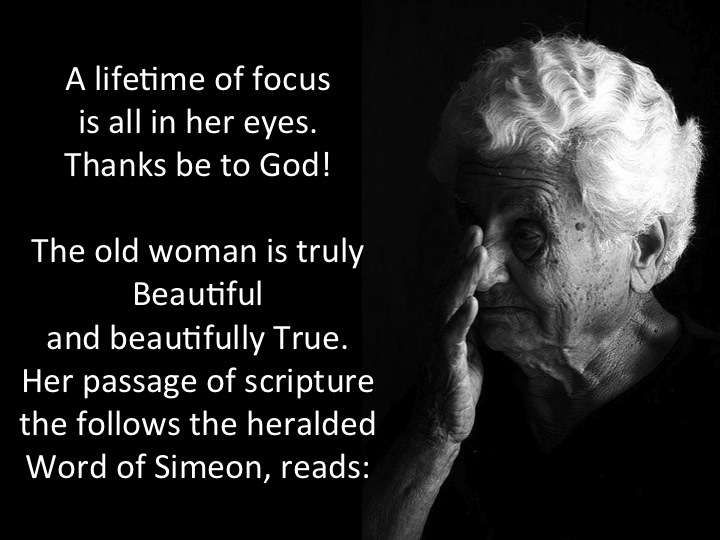 One such story, places Simeon as one of 70 original scribes who translated the Hebrew Bible into Greek. 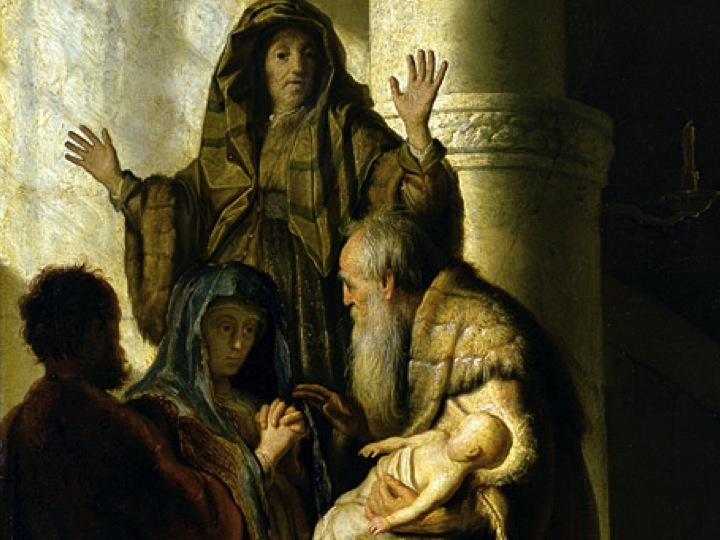 In this story, Simeon was assigned to translate the scroll for the book of Isaiah, and as he worked, he came to a verse we hear often in our Christmas scriptures, Isaiah 7:14, which says “and the virgin shall conceive, and she will bear a son…” and Simeon hesitated, questioning the believability of this statement. Simeon concludes that somewhere along the way someone must have written this wrong, so he decides to correct the error himself. But just as Simeon’s is about to write out his new translation, an angel appears to him, telling him the prophecy is correct as written, a virgin will indeed conceive and bear a son. Simeon questions the angel, who then promises him he will not die until he has seen the prophecy’s fulfillment in the form of a Messiah. Now, historians tell us the Greek version of the Hebrew Bible was finished somewhere around 132 BC, so if this folk tale is to be believed, it would mean Simeon would be somewhere in the range of 150 to 200 years old at the time of Jesus’ birth. I still like this story. 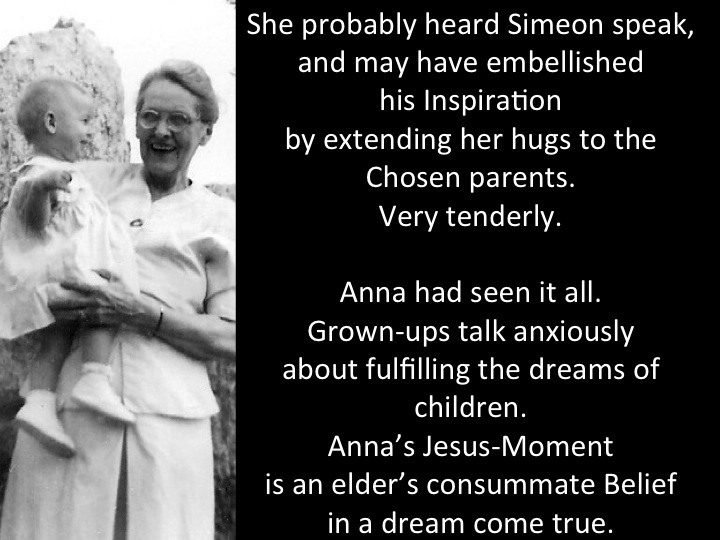 I can imagine Simeon as a young scribe, excited about this unbelievable miracle that he is going to witness. A messiah is coming to save his people. I like to imagine this man walking among the people, smelling of the burnt offerings of the temple, praying for peace for those he passed. Well, time passes, and Simeon grows older. I can’t imagine him keeping the story of his interaction with the Holy Spirit a secret, so there might be others waiting with him, for a while at least. Maybe they question the believability of all of this as well. Maybe they question his sanity. But, finally, so many years later the Holy Spirit comes to him again and guides him to the temple. It is now eight days after Jesus’ birth and as Mary and Joseph enter the temple, Simeon approaches them excitedly. The Holy Spirit helps him to recognize the child and he takes him in his arms saying, “my eyes have seen your salvation, which you have prepared in the presence of all peoples, a light for revelation to the Gentiles and for glory to your people Israel.” Then he turns and says, specifically to Mary, “This child is destined for the falling and the rising of many in Israel, and to be a sign that will be opposed so that the inner thoughts of many will be revealed—and a sword will pierce your own soul too.” So much for a happy birth announcement. The angel told Mary earlier in Luke’s gospel that Jesus would be called “Son of God,” but was not really given much detail about what else would happen to this infant, “Son of God,” child of hers. In the Gospel of Matthew an angel comes to Joseph and says, “[Mary] will bear a son, and you are to name him Jesus, for he will save his people from their sins.” But there isn’t much more instruction to that either. What will this saving son look like? 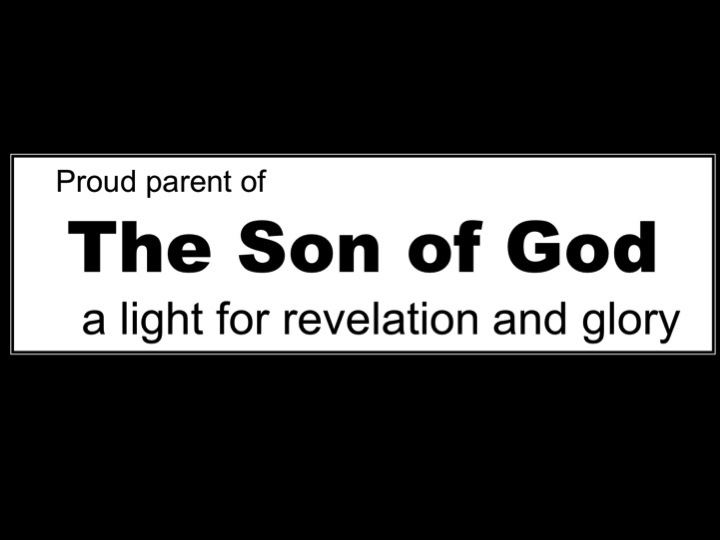 Simeon fills in a bit of the details and at first they seem exciting, “a light for revelation and glory.” This would make a great bumper sticker. Can’t you just see it on their donkey cart now? But then he continues: “falling and rising of many,” “a sign that will be opposed,” a sword that will pierce Mary’s soul. Now this is not something a mother would like to hear. Previous to this encounter we read of angels coming to Mary telling her of Jesus’ birth and “she was much perplexed by his words and pondered what sort of greeting this might be.” An angel has to reassure her, telling her not to be afraid. 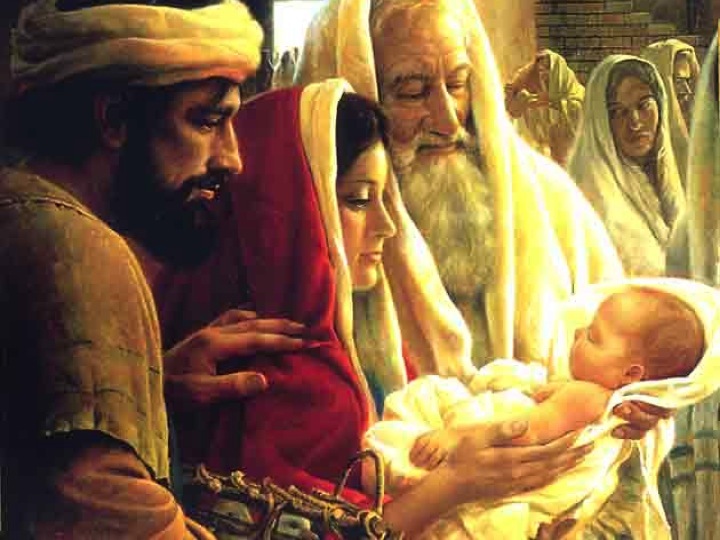 Later we read of the shepherds and that “an angel of the Lord stood before them, and the glory of the Lord shone around them, and they were terrified.” Now, Simeon tells them of the pain that comes with being the earthly parents of the messiah. I’m sure this terrified them too. Every new parent dreams of what the future will hold for their child. If a child kicks their feet we may predict a future of soccer or football, if they point their feet, maybe ballet. If a child has long fingers we may say they will be a musician or an artist. In Korean culture, there is a tradition along these lines called Doljanchi. 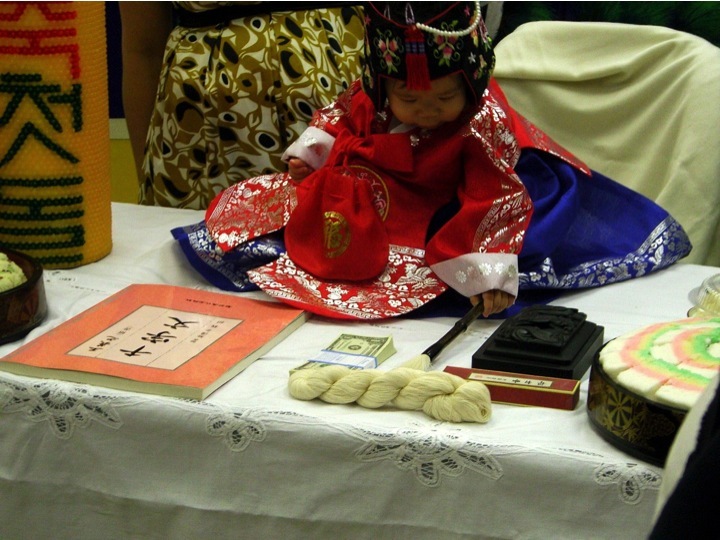 This Korean tradition celebrates the birthday of a one-year-old baby. The most important part of the dol is a ritual in which the child is placed in front of a table of foods and objects such as string, books, brushes, ink and money. Family and friends gathered watch the child to see what object they will pick up. This object is said to foretell the child’s future. If they pick up the brush or book they are destined to be a scholar; if money, they will be wealthy; if cakes, they will be in government; if a sword or bow, they will be a military commander, if the thread, they will live a long life. Over time, the objects have changed based on societal perceptions of successful occupations. Nowadays there might be a computer mouse for success in a technological field, a toothbrush for a dentist, or a gavel for lawyer. I imagine the type of table Mary and Joseph would set up at Jesus’ dol. They would likely put a hammer, wanting Jesus to be a carpenter like his father. They might place a scroll, hoping him to be a temple scholar. They might put a fish, so he might be a fisherman, and a string, hoping also for a long life. However, nothing in Simeon’s prediction would likely be on that table. In a few minutes Olivia will sing “Mary Did You Know?” This song is a beautiful but haunting song that speaks of the daunting reality awaiting Christ, this tiny baby resting in Simeon’s arms. The works of his ministry, the impact of his faithfulness, the implications of what it will mean for him to be the savior. If Jesus’ heavenly Father were to set up a dol, it would have fishing lure, so Jesus would fish for people. There would be sheep’s wool, for leading. 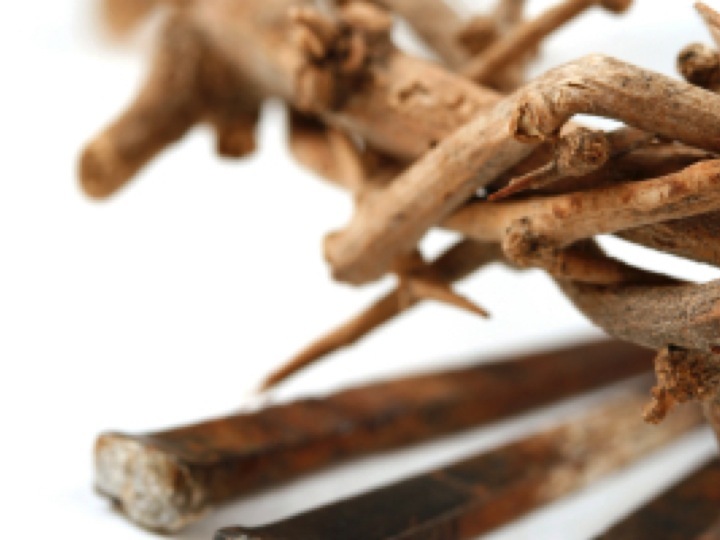 Next to those would be things no earthly father would set on the table, nails and a crown made of thorns. God knew Jesus would pick up all of these things. 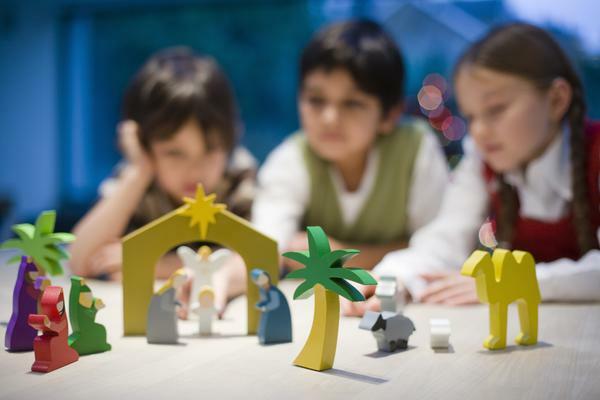 The nativity story is not the story of a birthday party. Yes there are guests and gifts, but it’s also a scary and complicated time for this young family. It was not an easy journey to Bethlehem. It was not easy to find a place for Jesus to be born and shortly after Jesus’ birth Herod is already trying to find and kill him. Simeon further complicates things by singing one of the oddest birthday songs you will ever hear; a song filled with joy, gratitude, and pain. This is indeed a strange birthday, because this baby comes not to receive gifts, but to give them. Jesus comes into our lives Christmas after Christmas, as an infant, but lived in our world as a Messiah. Today we celebrate his entrance into this community, his introduction into the world he had come to save. He is eager to share in our every complication and joy. Jesus comes to give us the gift of life everlasting. We are welcomed to this birthday to receive. May you, as Simeon, be open to the Holy Spirit and eager to experience God in your own life. Amen. 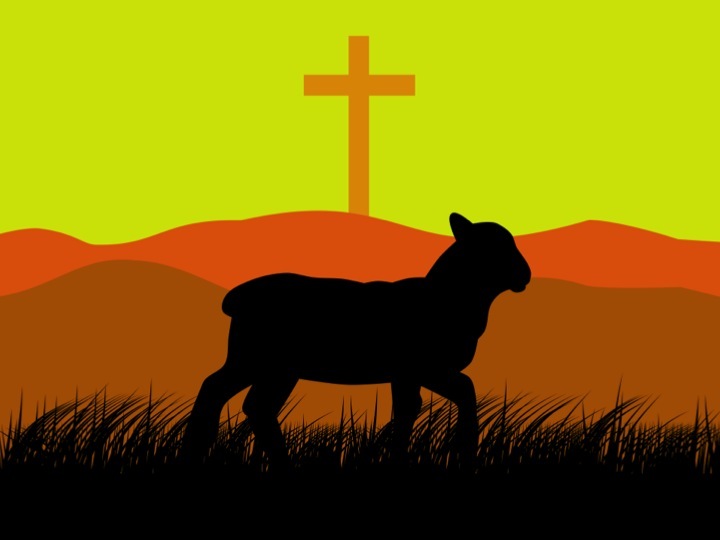 “Here is the Lamb of God who takes away the sins of the world!” this bold declaration of John the Baptist names Jesus, putting Jesus future right out in front of them: Jesus had come to die for their sins. 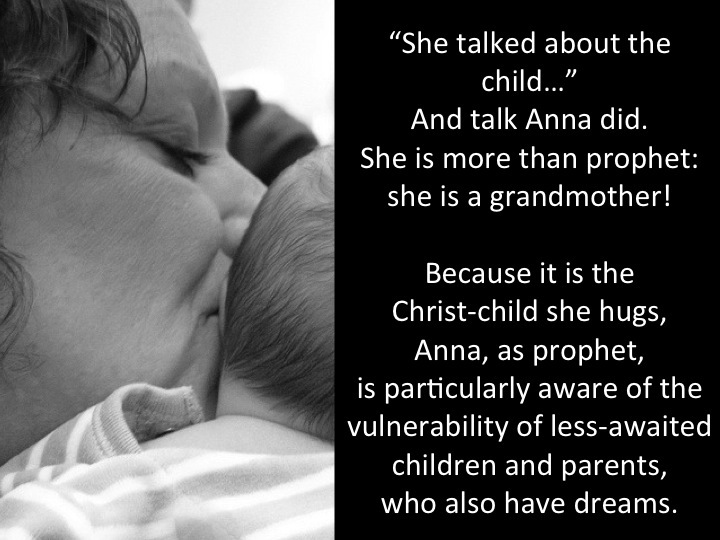 The story has turned dark from the baptismal declaration of last week, and the pictures of a rosy-cheeked baby from our scripture passages less than a month ago. In this narrative we are confronted with the reality of who this Jesus is, what his mission will be here on earth, and by extension, what our response should be to God come to earth. every day, in every way, in all that we do and in all that we say. At stores all around Christmas displays have come down and depending where you are they might already be on to Valentine’s Day or St. Patrick’s Day, but here in the church you will notice by our paraments here on the pulpit, lectern, and communion table, we are still in the season after Epiphany. This is the season that celebrates the birth of Jesus, the manifestation of God come to earth. In the liturgical calendar of the church we are still being drawn into this mystery, drawn into the hope and promise of what it means for God to be in human form among us. 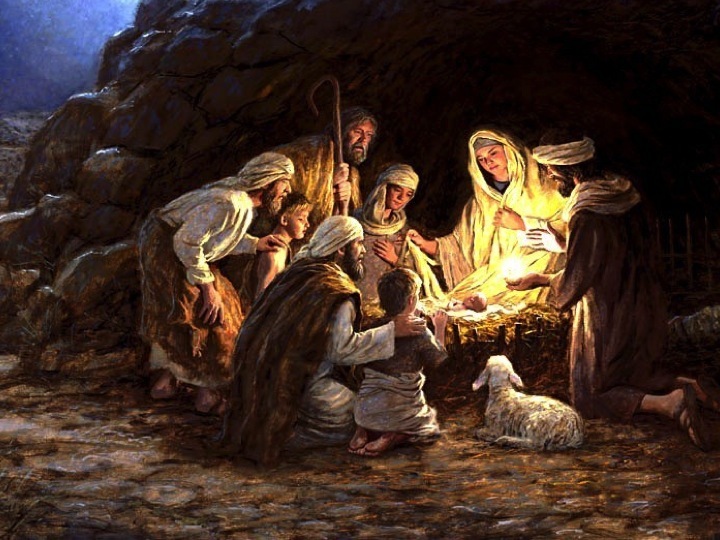 At Jesus’ birth there was a great gathering at the manger, all were drawn to experience Christ for themselves. This was more than just a birthday party for a baby, this was people drawn in to experience God, come to earth, come to human form, come to us. In our scripture today, when Jesus is questioned about where he is going his answer is “come and see.” “Come and see,” is a call to have your own experience of the Christ. “What are you looking for?” Jesus asks of his disciples following him. I would ask the same of you today. What are you looking for: what peace, what reconciliation, what answers? Might they be found in the pursuit of Jesus? How do we respond to Jesus come to earth? 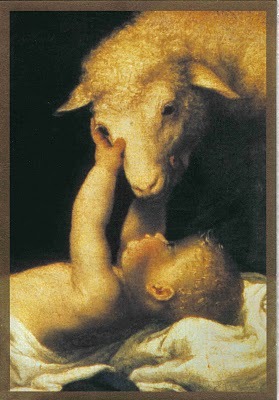 How do we respond to this beautiful baby, this grown man, this lamb of God? 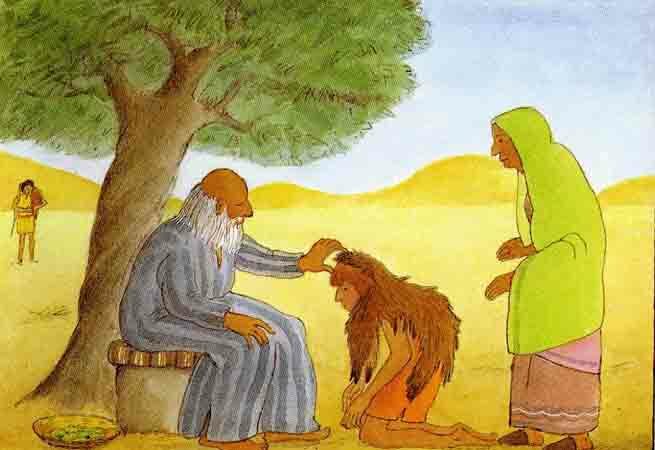 Might we be a bit more like John the Baptist? 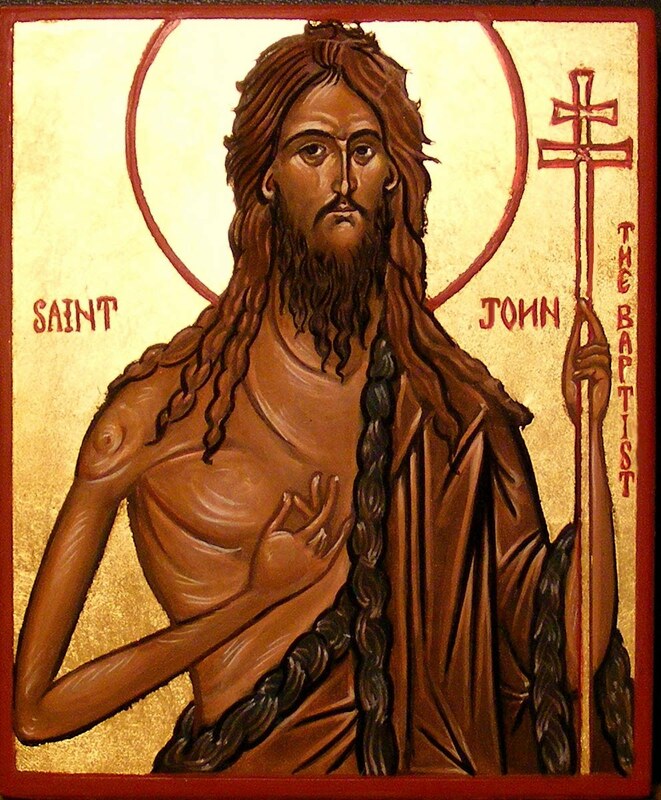 John the Baptist is a rather interesting character in scripture. He is the cousin of Jesus, son of Elizabeth, and somehow he finds himself out in the wilderness, compelled to point people to Jesus. He is described as a hairy, unclean man. Many artists’ portrayals of him are far form flattering, kind of a wilderness man of sorts. John would see sin not as a moral category of making decisions of right from wrong, but as a separation from relationship with God. Jesus taking away our sin then, establishes relationship between the people and God. Jesus has become real among them, real in his physicality as a man, but also real in his capacity to be the messiah, the savior, the one who came before. May we live into the promise of our salvation, through Jesus Christ our Lord, Savior, Messiah, and lamb of God. Amen. May your Advent be filled with wonder, expectation, and joy! This Sunday on the church calendar is called the “15th Sunday in Ordinary Time.” Sounds exciting, huh? 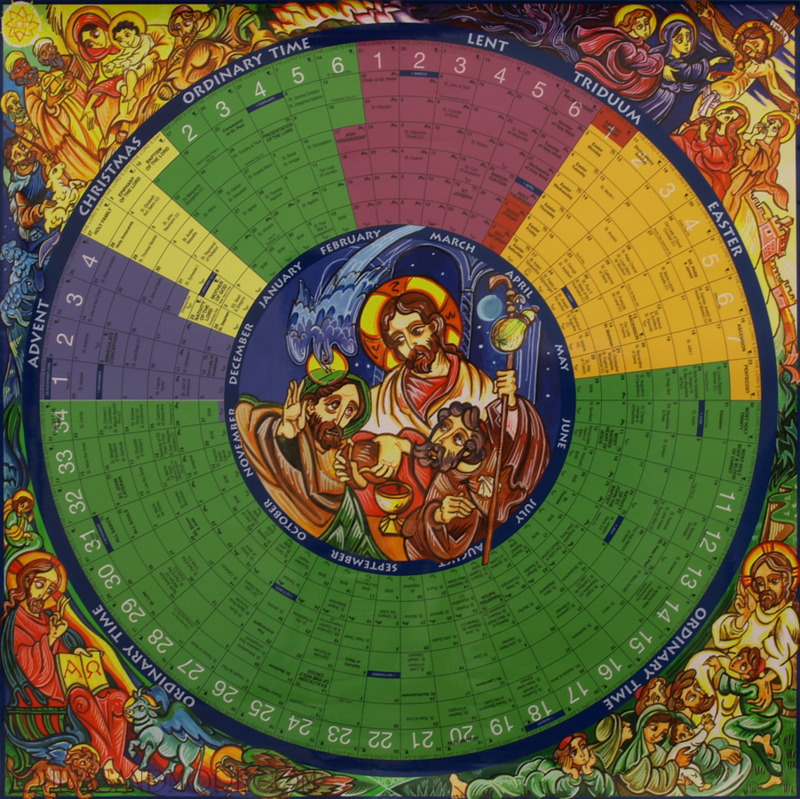 The Christian calendar has a total of 33 weeks of ordinary time,” time that is not defined by Lent or Advent or Pentecost or any other liturgical celebration. 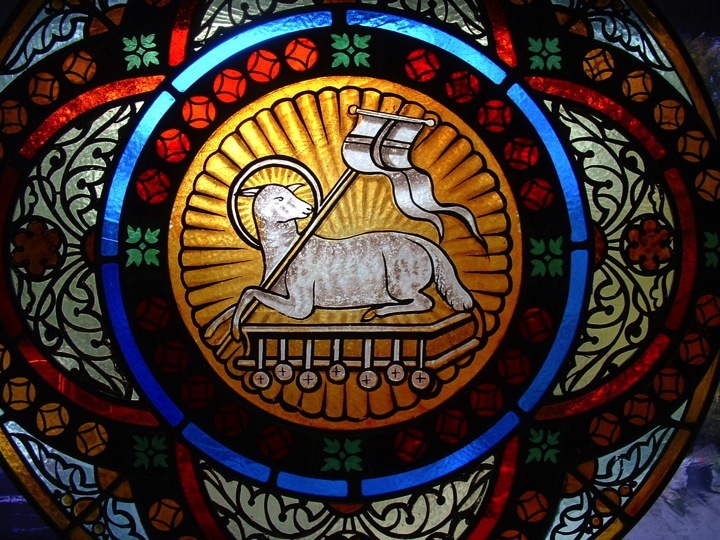 The trouble with ordinary time in the church is it can lull us into a liturgical rut. While churches all over see decreased attendance due to vacations and busy summer plans, calling this “ordinary time” doesn’t exactly encourage excitement in worship either. Worshiping in ordinary time doesn’t carry the anticipation of Advent, the loneliness of Lent, or the joy of Easter. Compared to fanfare of the birth of Jesus at Christmas and the horror of Christ’s death at Good Friday and the joy of resurrection on Easter, this in between time can seem, well, ordinary. 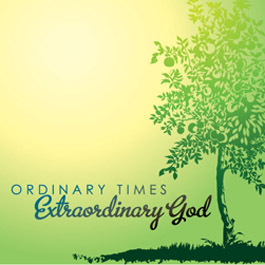 But even in our ordinary time, we profess a faith that is much more extraordinary than we often give it credit. 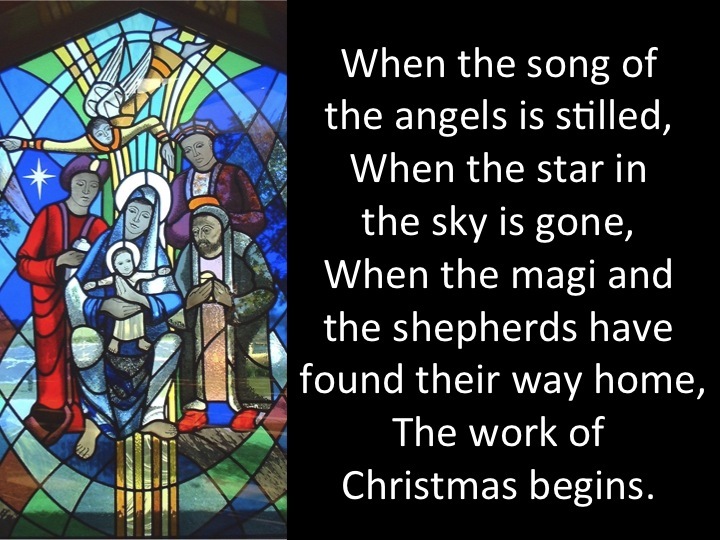 Which is why today as we crank up the air conditioning, walk about in shorts and skirts, and fan ourselves off with the order of worship, we are traveling back to the manger, drawing close to the story of a baby born into the world to save us all. 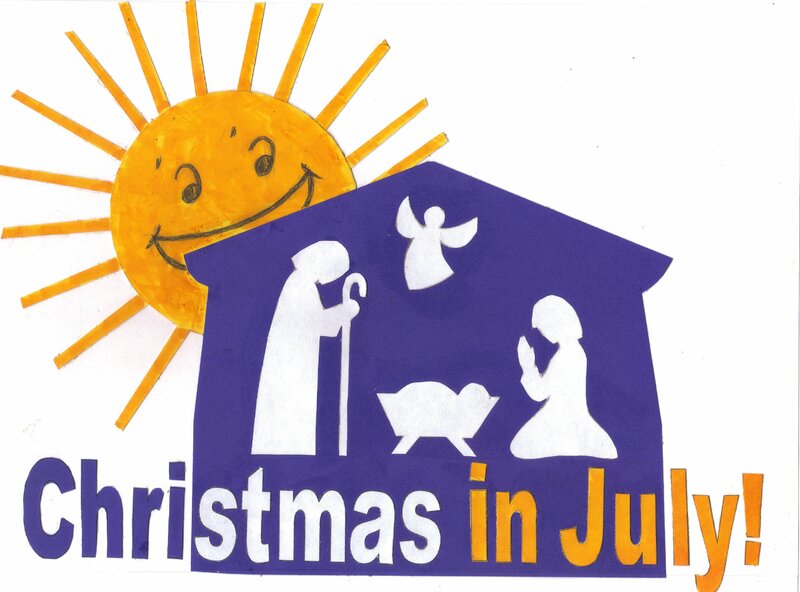 We are celebrating Christmas in July not because it feels particularly Christmas-y out in the world, but because even in a week where we’ve hit 90 degrees almost every day, we are called to recognize and bring about Christ’s presence in this world. So what can you tell me about Christ’s birth? We are used to the story of Christ’s birth and so all of these very extraordinary circumstances seem quite ordinary to us. Our two scripture lessons today tell us that this could not be farther from the truth. 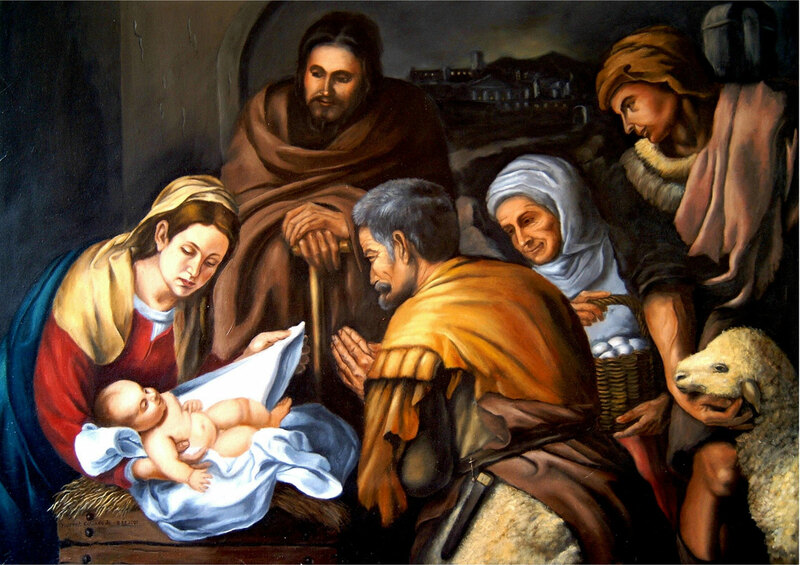 This quaint story of a manger birth in Bethlehem was not just what we see at first glance. 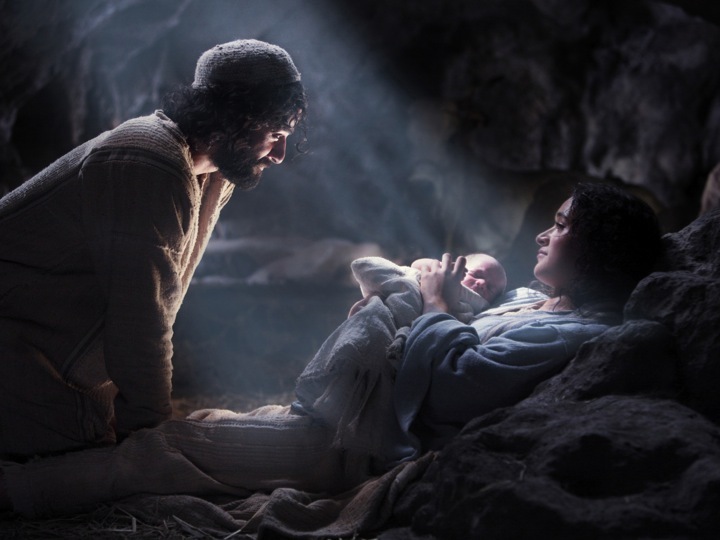 With Jesus’ simple birth, a greater mission was brought to fruition. 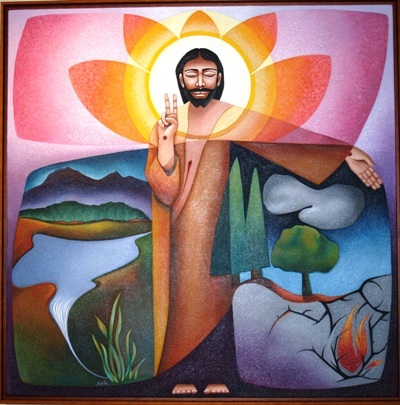 Jesus united heaven and earth, by being both God and human, both eternal and temporary. Jesus experienced human pain, happiness, hunger, and certainly the discomfort of 90 degree plus days. 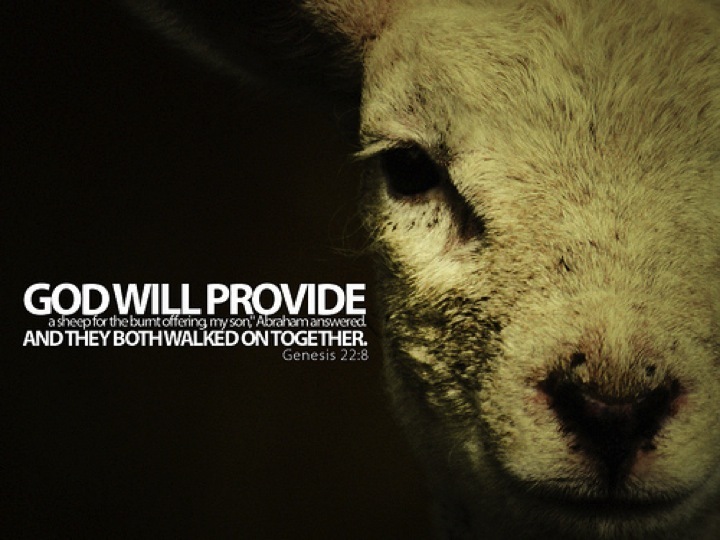 He also carried within him the love of a God willing to get his hands dirty. While we often think of Christ’s birth as something that happened about 2000 years ago, these two poetic and somewhat complicated passages remind us that Christ is without time and that the Savior who would come to redeem us all was set into motion from the very beginning of creation. Christ as an incarnate living and breathing walking about man was always intended to be a part of how we experience God. Colossians describes Christ as both “firstborn of all creation” and “firstborn from the dead.” While I could probably do a whole sermon on the many times Jesus is described like a zombie, today we can just recognize that Christ was in the beginning with God at creation and also made a way for us to have eternal life with God. Through living a perfect life and enduring the cross Christ brought life to all people. Jesus, God’s only begotten son, was born into the world and died in this world so that we might also become God’s children. So that we might be drawn into the covenant of God’s providence and covered by God’s grace. “The fullness of God was pleased to dwell.” I love that phrase. At the great commissioning Jesus passed along the joy and the burden of this calling unto his disciples, and by extension, on to us. 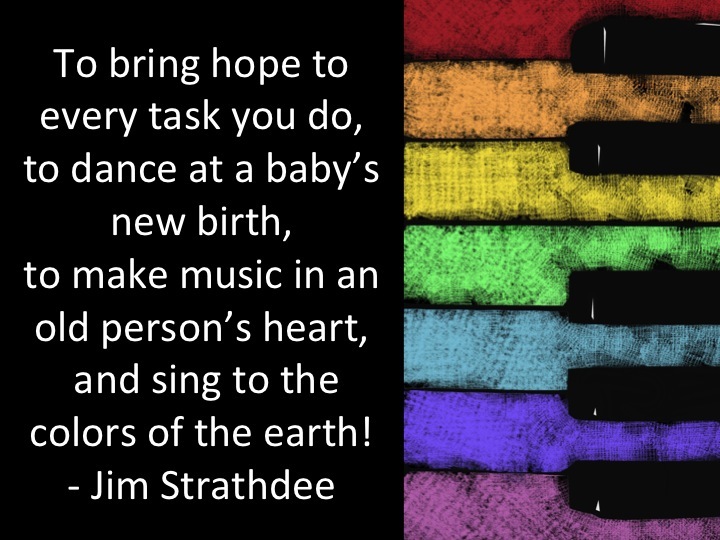 When we gather in worship we are strengthening ourselves for this mission, immersing ourselves in this hope. 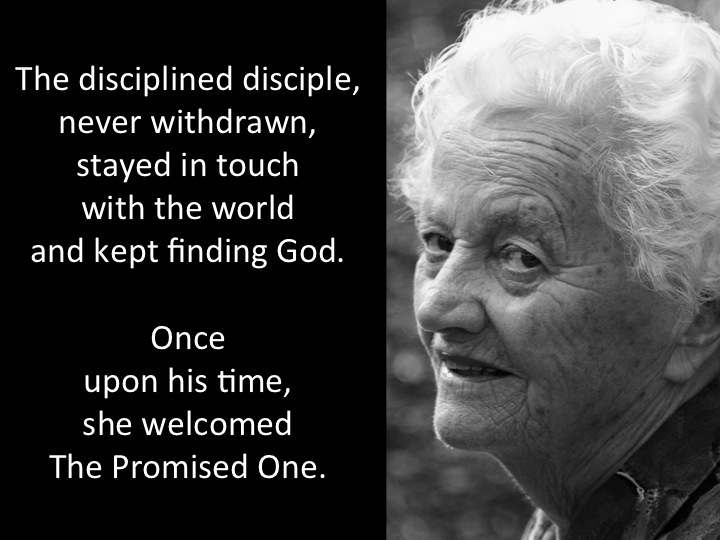 Since we carry such a powerful message of hope and restoration calling even these in between times in our year “ordinary time” seems a bit inconsistent with this great story we are called to be a part of. Perhaps your ordinary time has gotten a bit too ordinary. Maybe today, this Christmas in July, this singing of carols and celebration of Christ’s presence on earth will help you to continue to walk with Christ throughout the year. 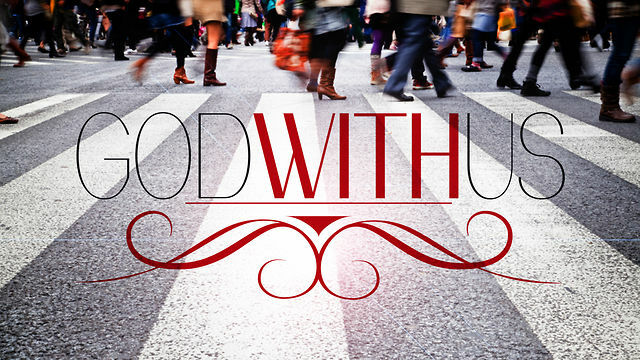 Every Christmas we celebrate God coming into this world walking and talking among us, but through our witness to God’s power in our world and in our lives Christ is still walking and talking among us, through us. May God become Emmanuel through you this day. Amen. Have you ever read the Bible and felt like this? Like you’re being pointed in all sorts of directions and you’re not sure where to go? Or maybe you felt that it might mean something for your life, but your not sure which? And when you read more about scripture it you might hear even more of a confusing message? Signs are really only helpful if we’re able to read them, and able to understand what the mean, and what we’re supposed to do in response. This is also true when it comes to Jesus’ actions in the gospels. His miracles, including this one in Cana, are called “signs.” A sign points to something beyond itself. There needs to be a certain sort of understanding to be able to interpret a sign. The thing about a sign is that it points to something beyond itself. 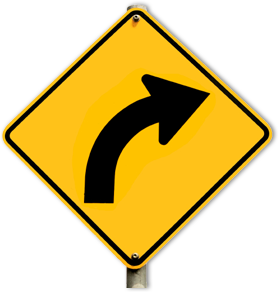 If you’re driving along and you see this sign you know that this line with the triangle at the end means that the road is curving right. 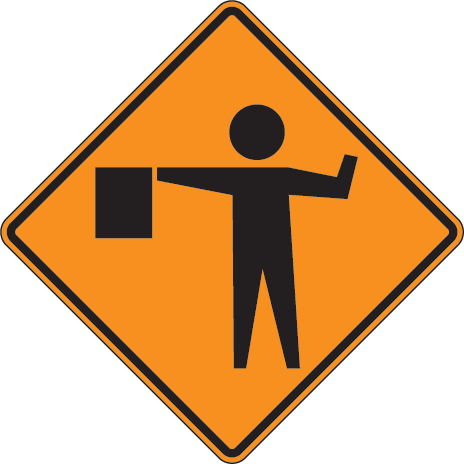 If you see this one, you know there’s construction up ahead and you know to watch out for workers in the road. When Jesus does a miracle, more is going on that just what we can take in at first glance. Which is important to know, especially when we see a sign like his miracle in Cana. In a first read through it seems like all Jesus is doing is making some people happy at a party. The signs of Jesus tell us about who Jesus is, His mission on earth, and the new age He brings about by his coming. 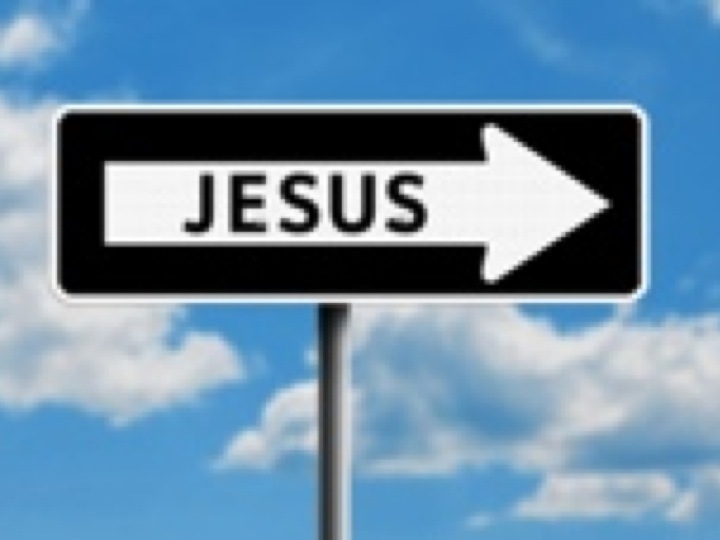 The signs of Jesus are truly “significant.” They point to who Jesus is and what he came to do. 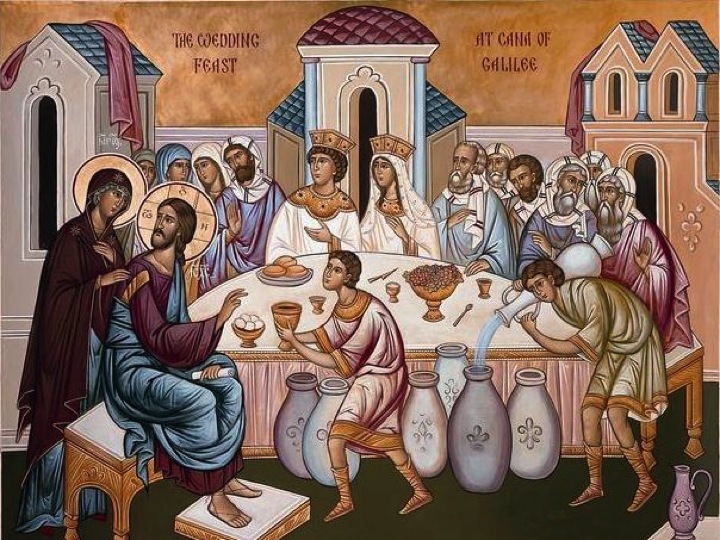 So, let’s unpack this story a bit and figure out what making wine at a party has to do with the mission of Jesus Christ and what it has to do with us. 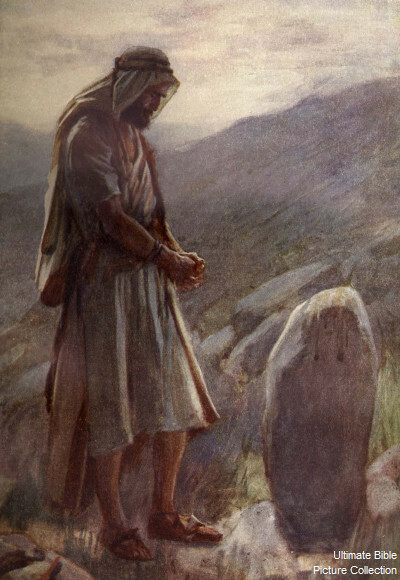 Any parent or teacher who has asked a child to do a chore, go to sleep at bedtime, or learn a math problem might hear a familiar voice here: “Why me?” “Why should I care about this?” “Can’t I do it later?” “Ten more minutes?” When we know that this is Jesus’ very first miracle, it’s a strange thing to hear that he seemed reluctant, and even a bit petulant at his mother’s request. Mary’s appeal brings images of a proud mother. She had confidence that in this situation Jesus could do something to turn it around. But really, making wine at a party? This is Jesus’s first act of ministry? This is what gets the ball rolling on a career as savior of the world? Winemaking? However, when we look at this one strange seeming inconsequential act in the scope of Jesus’ entire ministry, it makes a great deal of sense. Jesus is the bringer of living water and that water is transformed by His death, which we remember by sharing in the wine of communion. This one act, at the beginning of His ministry provides bookends to his life’s ministry. Christ gives living water and is transformed into wine. Scripture is filled with imagery of water as challenging, saving, confronting, and life giving. 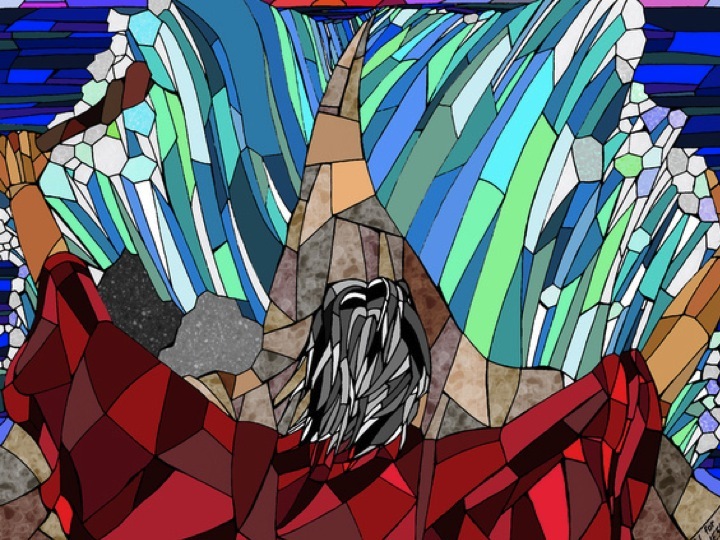 As our students learned in WOW this past Fall, water is woven throughout the Moses narrative: carrying Moses to a new life, saving the Israelites from the Egyptians at the Red Sea, and flowing from a rock as a sign of God’s provision to the Israelites in the wilderness. This passage of Christ’s baptism comes right before the story of his first miracle. This is no accident. When Christ is turning water into wine, He Himself has already taken his place as the living water. In His baptism the Holy Spirit descends upon Him. 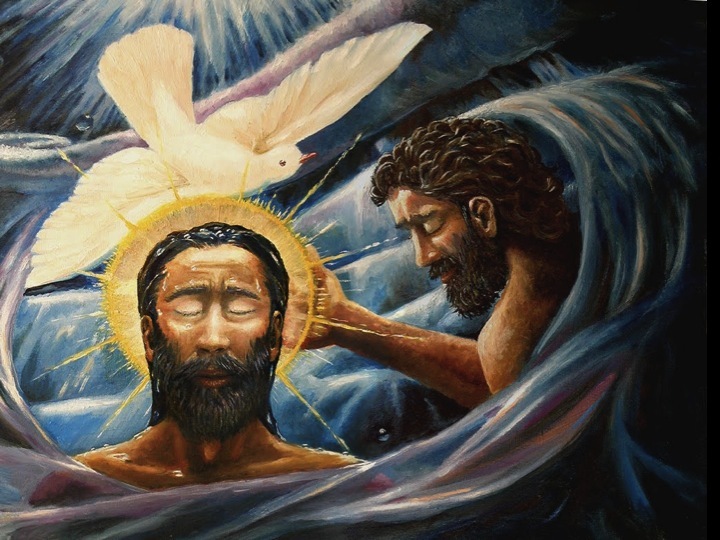 In Matthew’s account of Jesus’ baptism it says that, God’s voice was heard saying, “This is my Son, the Beloved, with whom I am well pleased.” Though always connected, the trinity, Father, Son, and Holy Spirit are all cited a specifically present during Christ’s baptism. Though Jesus was claiming God as father as early as when he was twelve in the temple, this claim by God that Jesus is God’s own son was the first public action by God that set Jesus apart as God’s son. And in this ministry Jesus does not go it alone, but goes in the company of the Holy Spirit, who is in and through all things. On Christmas we celebrated Jesus’ birth, last week on Epiphany Sunday we celebrated Christ’s manifestation. These two scriptures Jesus’ baptism and Jesus’ miracle at Cana, bring us to the beginning of Jesus’ ministry. 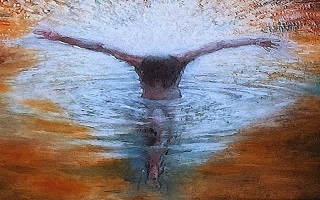 A time when the living water came to life, living a ministry that would give live to all people. 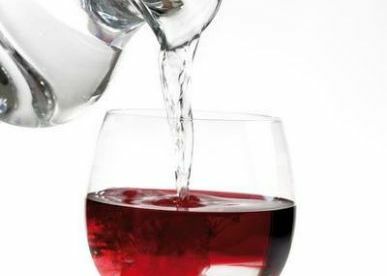 Though this first miracle happens in the context of a party, this transformation from water into wine points to a future much more bitter than that of living water. 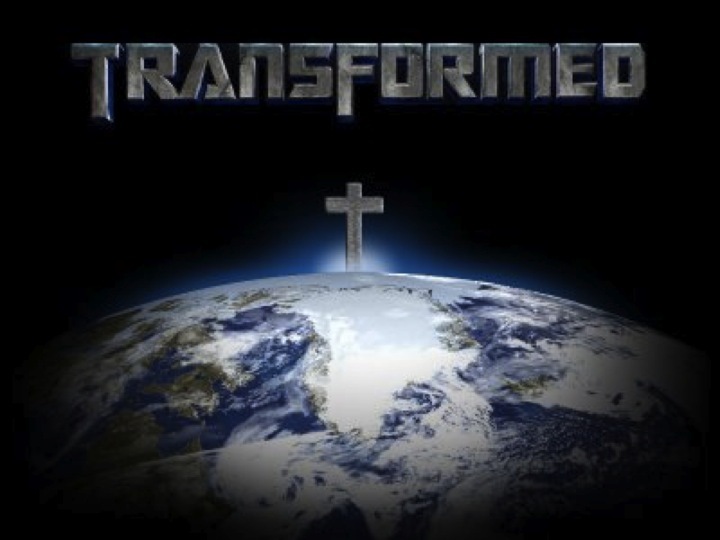 Christ did not come simply to wash the world clean, but to transform the world through His life. Though we use grape juice in our communion as we remember Jesus, there are reasons why Jesus’s death is remembered through wine and not grape juice. Sure there’s the cultural context of a community of disciples that would’ve been more likely to dine with wine than with water, but there are also chemical reasons. While both are bitter and sweet, wine can be abused. Wine can lift the spirits, but too much can cause personal harm and ruin relationships. Wine is in remembrance of Jesus’ death, in remembrance of the pain of crucifixion, and the horrors of Christ’s descent into Hell. We sample just a taste of this bitterness in communion, but we are not meant to intoxicate ourselves with the grief of Christ’s death. Here is the blueprint to divine transformation: When God’s concerns become our own, and we lift them up to God, faithful obedience leads to the transformation of our hearts and the world. God’s will can be enacted through us, but only if we are open to be changed by asking for that change, and discovering our role in transforming God’s Kingdom. In our baptism Christ claims us as His own, as children of the Kingdom of God. We drink of the living water. We are cleansed of our sins and given new life. In Christ’s death Christ claims our sins as His own, giving us the ability to live eternally in God’s Kingdom and God’s grace. The good news is as Jesus transforms water into wine, Christ also transforms our lives through claiming us in baptism and redeeming us through his crucifixion. This is a message of hope that poet, Tom Lane writes of this in his poem, “If Jesus Could”: If Jesus could transform common water into wedding wine spit and dirt into new sight troubled sea into a pathway well water into living water Could Christ transform the waters of my life? shallow murky polluted stagnant sour into a shower of blessing? May we be open to Christ’s transforming power in our lives and in this world, and open to how God is calling us to help transform the world for His kingdom. Amen. Epiphany! Have you ever heard someone say, “I have had an epiphany!”? 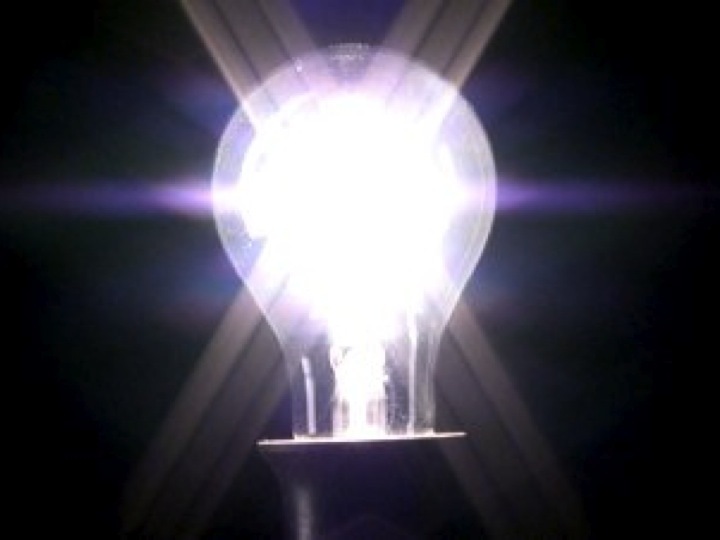 In our culture the word “epiphany” has become synonymous with “brilliant idea” or “life changing thought.” The word may give us visions of someone with a light bulb floating above their head. It’s an unexpected sort of occurrence: a lighting flash, a stumbling upon. Epiphanies enter our lives before we even know we needed them, but once they occur, are not soon forgotten. In the church calendar and in Biblical Greek, this word takes on a different depth. In the Greek: ἐπιφάνεια (epiphaneia) means “manifestation,” or “striking appearance.” The root of the word is close the word for “shine upon” or “to give light.” On the liturgical calendar, today is this day of Epiphany, this celebration of the manifestation of God through Jesus Christ. 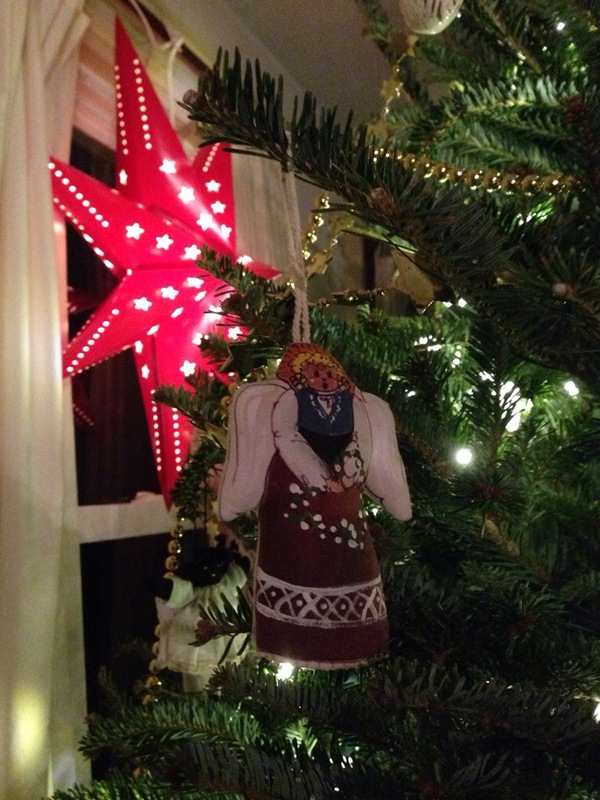 The celebration of when God became incarnate; when God took on human form and walked around. This sort of epiphany is not just a light bulb above someone’s head, but a sunrise that lights a whole horizon in never ending day. 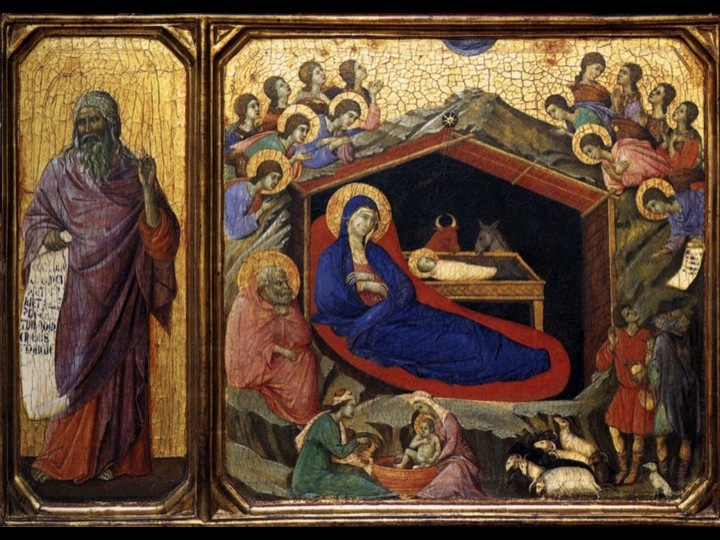 It seems strange that Christ’s birth date and manifestation date are separate occurrences. Didn’t we already celebrate Christmas? But those two dates are different for a reason: the Epiphany is the commemoration of when Christ was visited by the Magi or the three wise men. This particular visit changes the meaning of Christ’s birth. As Christian tradition goes, up until that point, only fellow Jews had commemorated Jesus’s birth. Jesus was still contained within his own cultural context. But the visit of the magi changes things. This was the first time he was visited by Gentiles. This was the first step towards Christ’s bringing about of a Kingdom that would unite all people to God, both Jews and Gentiles. This is an important lesson for our own lives: Christ is only truly manifest in this world when we introduce him to those outside these walls. Christmas is only realized, when we live our lives in response to it, far beyond its allotted time on the calendar. 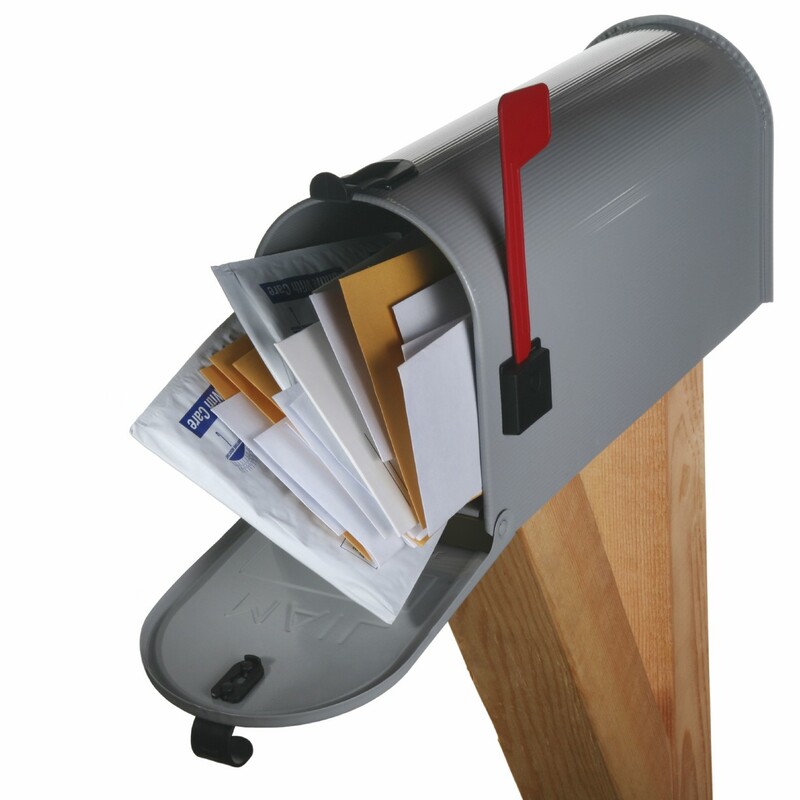 Whenever there’s a major life change in a family there’s an initial few weeks where people are lined up to hold the new baby, casseroles lining the refrigerator form an edible memorial to a life lost, and the mailbox is flooded with cards. But then time passes and the life change becomes a part of the regular rhythm of things, a new family dynamic is adopted, a new social calendar is established. Things return to normal. It’s tempting to do the same after Christmas. We have celebrated the birth of this new baby, Jesus of Nazareth. 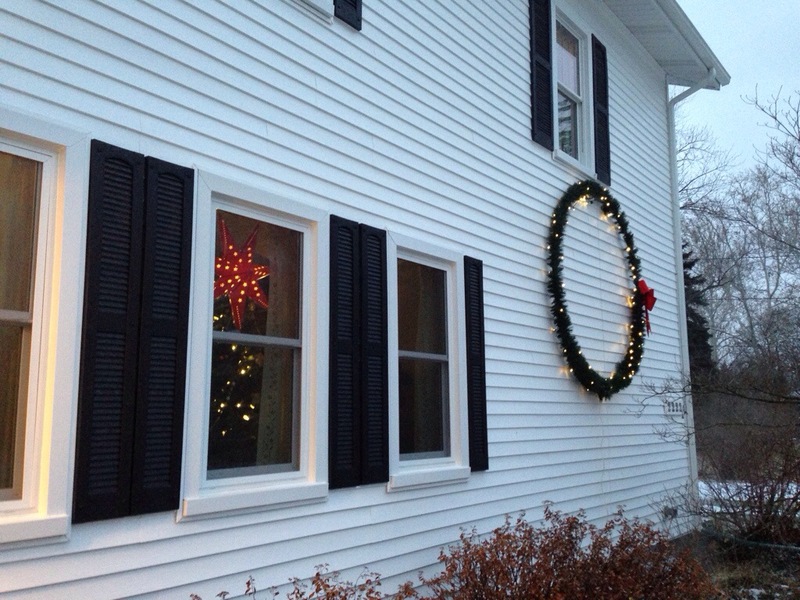 We have sung the carols, read the scriptures, hung the greens, and lit all the candles on the Advent wreath. We’re now ready for the “long winter’s nap,” prescribed in “’Twas the Night Before Christmas.” Now we get on with the rest of our lives, right? In the wake of Epiphany, we are summoned into a new reality, beyond the pre-Christmas normal and into the post-Epiphany exceptional. This great happening is something to be shared. 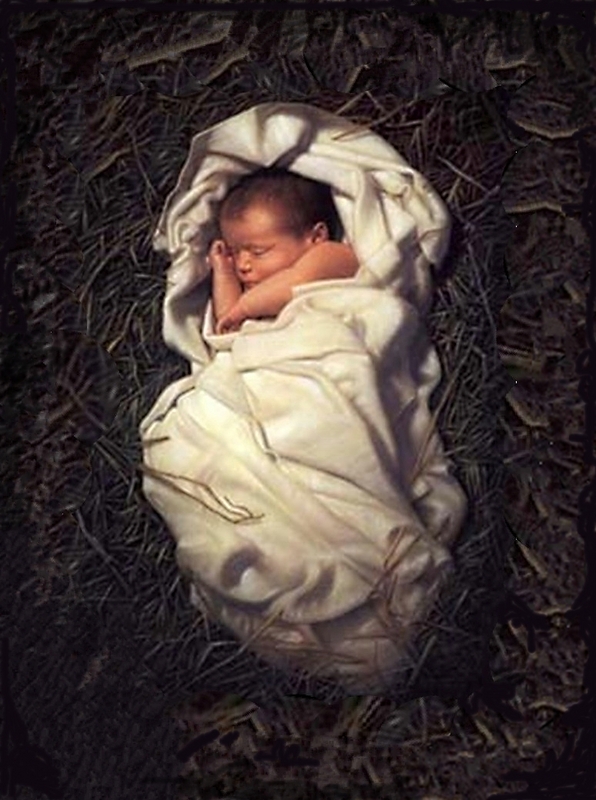 In our reading today we heard of the story of a woman who understood the significance of the incarnation. 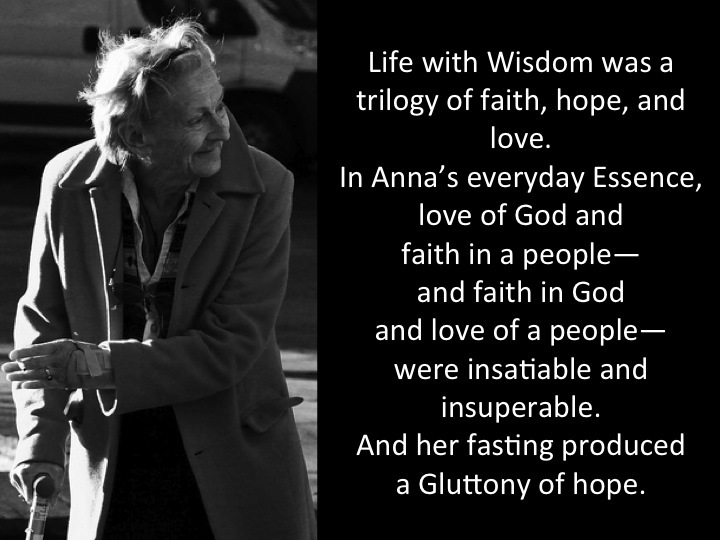 I love this telling of the story of Anna. 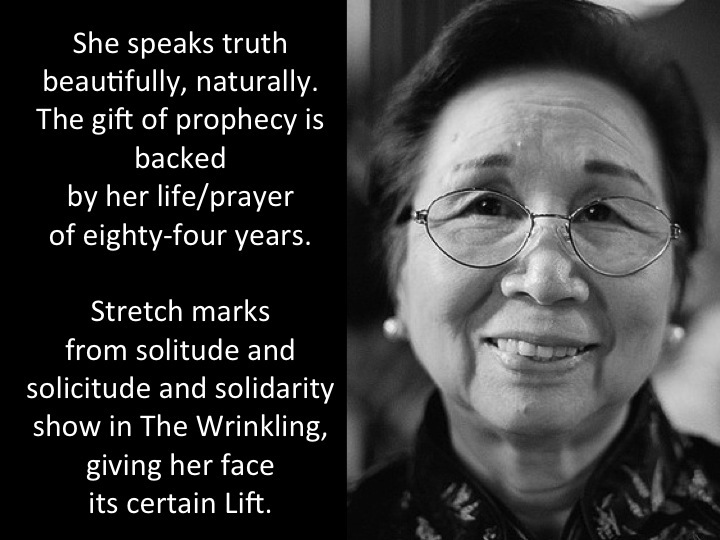 Though scripture only gives us a couple of verses about this woman, this reading expands on the story and imagines all the hope and expectation that went into her Epiphany experience. 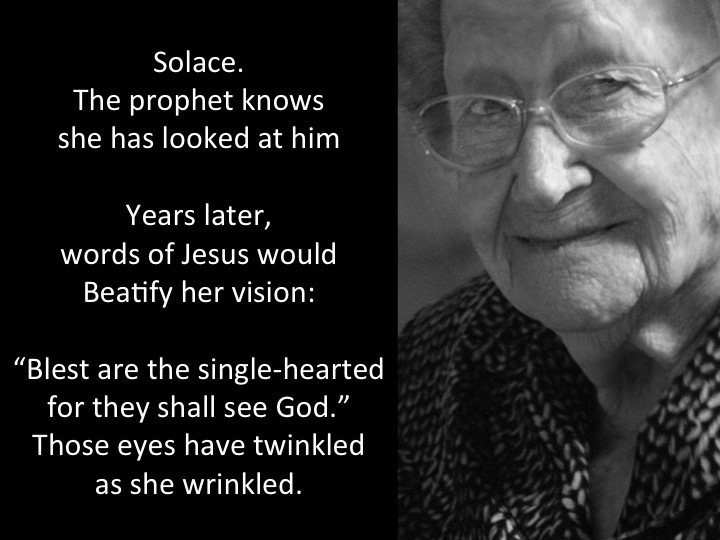 She had waited at the temple for many, many years in the hope of Christ’s coming. 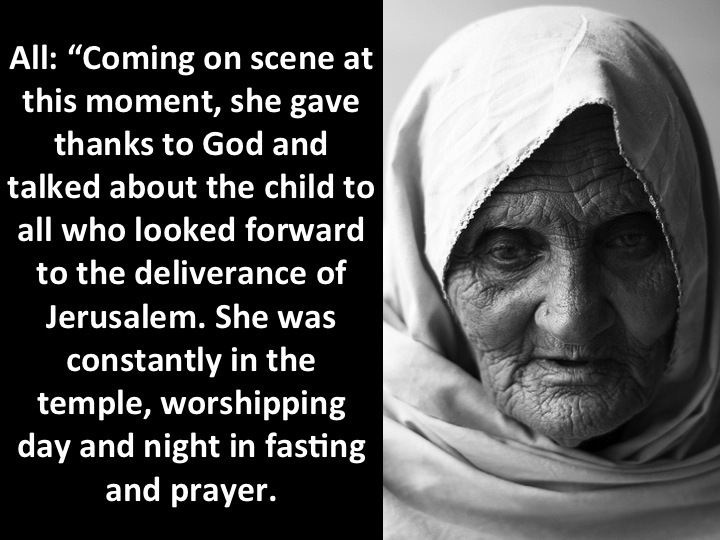 Her eyes were opened to receiving Christ in their midst. 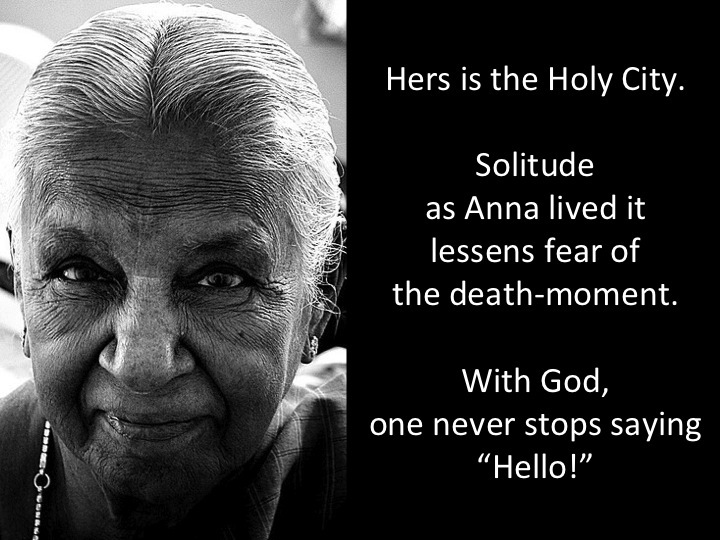 Both Anna and Rev. Evans wait expectantly for God to come incarnate into this world. Waiting so that they may recognize and worship our Savior. 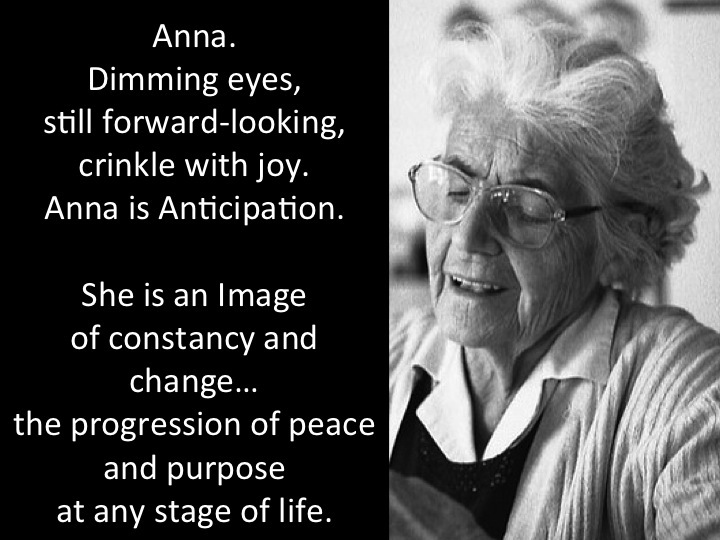 Anna, is waiting for Jesus and Rev. Evans is waiting for Christ to come again. Wait a minute. Did you get that? Christ is coming again. This echoes the prophet Isaiah’s call. 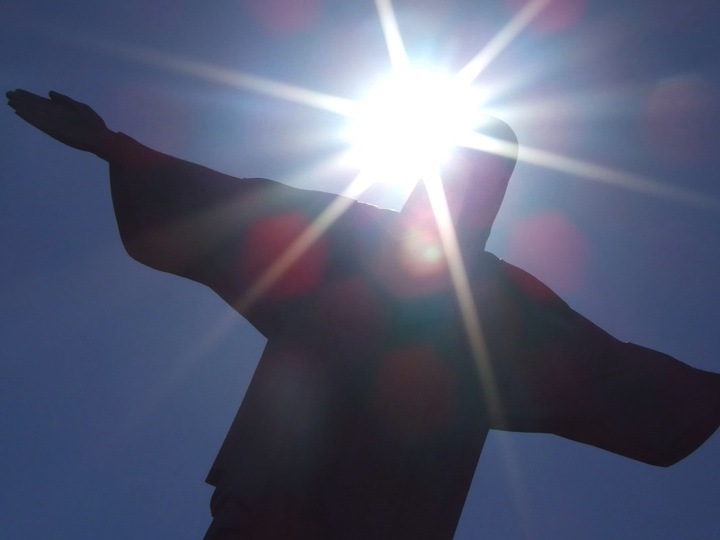 Once we witness the light of Christ, once we have risen and are shining Christ’s light into the world, we must continue to stay awake in anticipation of Christ coming again. Which that leads to a more important question: Do you really believe that Christ is coming again? Have you ever looked at a newborn baby and thought: could it be? Or have the best parts of our Christian story already played out? The script has been written, the play is done, and now we can just celebrate the birth of a child and the redemption by our savior. Right? I know that this is a struggle for me. Like the religious scholar’s of Jesus’ time, I know what is the right answer. I know with every academic fiber of my brain that when someone asks me the line in the Apostle’s creed that follows “He ascended into heaven, and is seated at the right hand of the Father.” I know that the answer is: “He will come again to judge the living and the dead.” I know that, but is that something I eagerly anticipate? Or is it something I just think might happen someday, but doesn’t really have much to do with me. If I’m honest with myself I’ve done a lot more to prepare to celebrate Christ’s birthday that happened 2000 years ago, than I’ve done anything at all to prepare for Christ coming again. “Keep Awake,” the Gospel of Mark tells us. “Keep awake.” Christ’s coming again is not the sort of event in which we must go to sleep in order to receive presents under our tree. Rather, we are to stay alert with eyes open to meet our Savior. As Disciples of Christ Jesus, we are those very servants charged to take care of this world until Christ comes again, and then we will be judged for what has been done and not done. 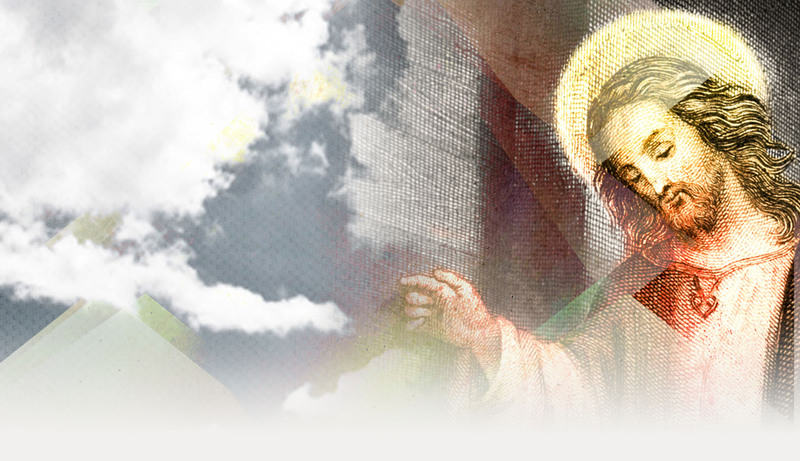 This hopeful account of Christ’s coming again urges us to choose Christ as our Lord and Savior. The good news is this, by accepting Jesus as Christ, His death covers our sins as well. And what of Christmas? Today’s Epiphany reminds us that while Christ has already come into this world to save us from our sins, Christ will come again to judge the world. This is our yearly reminder to “rise, shine,” “keep awake.” We don’t know what God has chosen as the next “fullness of time,” by which Christ will come again. But this yearly, heavenly birthday celebration serves as a bit of a wake up call, part of a larger advent. This Epiphany day may we arise with the joy that Christ has come into this world and shine with the hope that Christ will come again and make all things new. Amen. 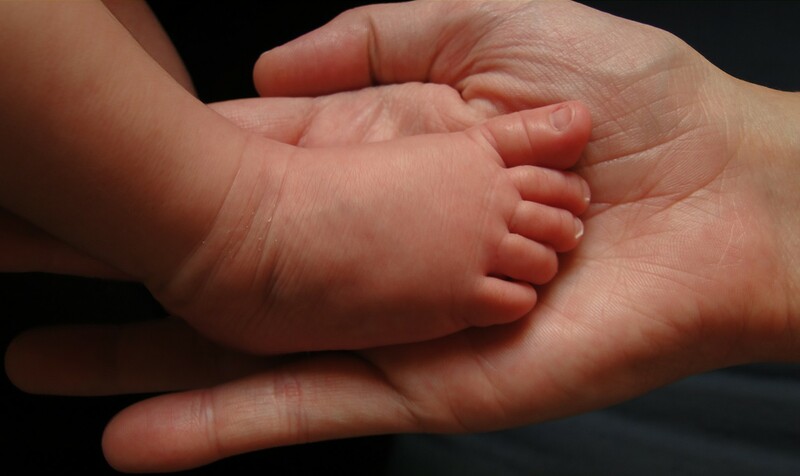 An angel came to his mother telling of his surprising and miraculous birth. He lived life as a revolutionary, an outcast of society. He preached the truth of God’s judgment and God’s grace. He proclaimed the coming reign of God and the establishment of God’s Kingdom among the last and the lost and the lonely. A ny guesses to who I might be talking about? John the Baptist is not who we typically think about when we think about Christmas. His stories understandably take a back seat to that of his ever more famous, ever more eternal second cousin, Jesus of Nazareth. But John too was born out of an unexpected pregnancy and called into a counter-cultural life. Angels announced both of their births. An angel came to Elizabeth, Mary’s cousin, and told her that even in her old age she would have a baby. An angel came to Mary and told her that even though she was a virgin she would have a baby. Surprises all around. The two cousins, Elizabeth and Mary met together and share their news. When Mary told her cousin of her pregnancy, John leapt in his mother’s womb, excited to be in the presence of Jesus. But then, they grow up and the Biblical narratives are silent about any interaction the two of them might have had throughout their childhoods or adolescence. Thirty or so years pass and we are told that, “the word of God came to John son of Zechariah in the wilderness. He went into all the region around the Jordan, proclaiming a baptism of repentance for the forgiveness of sins.” This was before Jesus’ ministry officially began at the wedding in Canna. Before Jesus had worked a single miracle, John was proclaiming God’s will with strength and conviction. John is often depicted like this picture here. Here in this otherwise formal portrait, John is disheveled, a wild man who lived out in the wilderness. He was described wearing a leather belt and a tunic of camel hair, living off locusts and wild honey. His message was not for those who were concerned with appearances, but for those concerned with God’s work throughout our lives and into eternity. “What should we do?” asked the crowds. “What should we do?” asked the tax collectors. “What should we do?” asked the soldiers. To each, John replied with a message of giving, a message of generosity. What he says is neither complicated nor spiritual. To the poor crowds: share what you have. To the tax collectors: take only what is fair. To the soldiers: don’t extort. In everyday language, these are the rules of the playground: share, be fair, don’t bully. John gives them very practical commands of how to move forward with their lives, how to redirect their lives towards God’s will. John does not tell them to leave their current lives, but rather to go forward just where they are, but with hearts bent towards God’s will. When we say, “what should we do?” John provides an interesting example. He is not Christ and does not pretend to be Christ. But he is so assured in God’s call on his life that he’s willing to go out to preach and baptize. 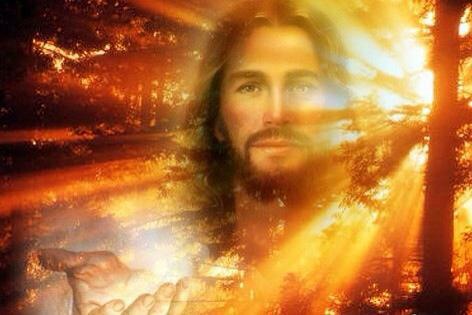 He is so assured in the coming of God’s Kingdom through Jesus Christ that he lives his life pointing to Christ. After that first womb-concealed leap in Jesus’ unborn presence, John continued to rejoice in Christ’s incarnation throughout his life. John gives this gathered crowd specific measurable instruction on how to give and receive in this world, all having to do with money. John also provides a very specific example on how to give and receive in this world that has nothing to do with money and everything to do with relationship. John lived his life rejoicing in the company of Jesus Christ. 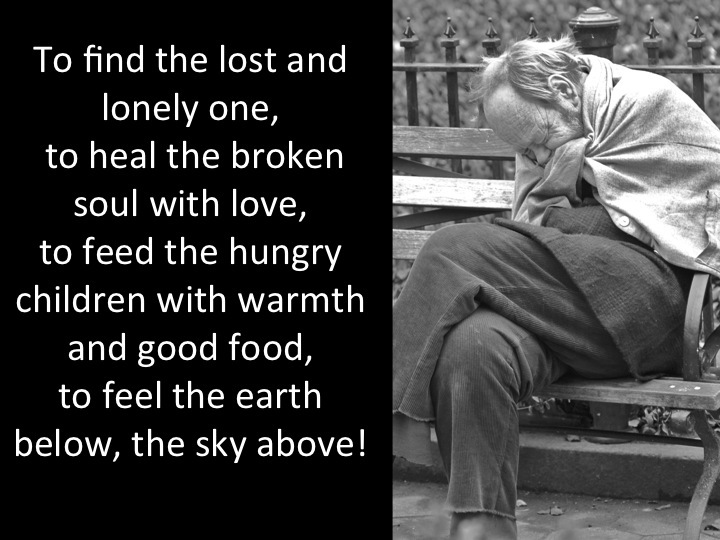 As we are already in the midst of this season of giving, this is an important example to remember. In this Christmas season we will both give and receive gifts, but we needn’t get caught up so much in the gifts themselves, but rather on the relationships that surround them. 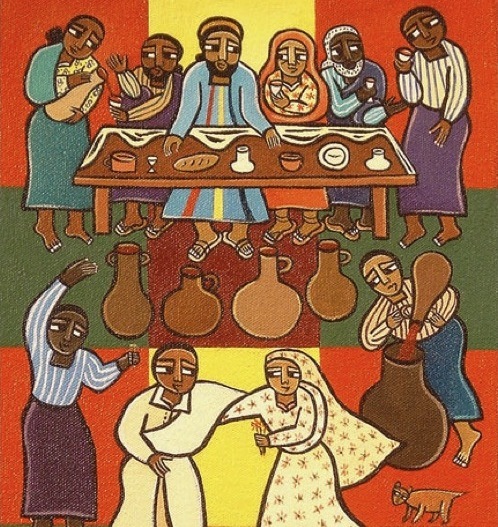 When we give let us remember John’s command for sharing, fairness, and consideration, but also the simplicity and unconditional nature of John’s joy in God’s presence. My sister and I were talking the other day about some gifts we have given and received over the years. No matter what the material gift was that was received, the ones that had the most impact were those that reflected a genuine, unsolicited knowledge of the recipient. These were gifts that required listening, required paying attention, required being in relationship. The greatest gift we can receive was the gift of being known. With this in mind, the gifts of the wise men initially seem quite strange. They are coming to celebrate the birth of a baby and bring gold, frankincense, and myrrh. Seems like quite the strange baby shower presents. Surely these were not gifts that Mary and Joseph would’ve registered for at Babies R Us. But the gifts are also right on track because they point to a knowledge of who this little baby Jesus will become. These are gifts of knowing Jesus’ future. 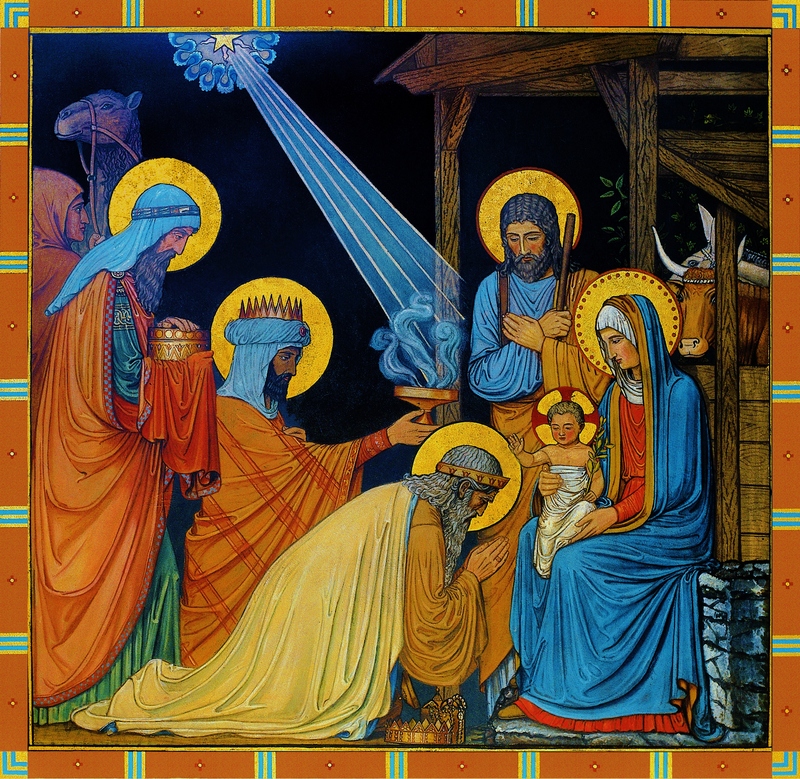 The gold was the symbol for the king; frankincense for the priesthood, and myrrh for healing. These gifts, then, point to a greater gift: the most important gift of this season that cannot be wrapped up in a box or written on a check.The most important gift is the gift of Jesus’ life, which is offered at his birth. Even as a baby, these gifts tell us that Christ is the great king, the priest of all priests, who came to heal this broken world. This Christmas let us remember that Christ has come to exchange with us the gift of being known. In Paul’s letter to the Philippians he writes, “I want to know Christ and the power of his resurrection and the sharing of his sufferings by becoming like him in his death, if somehow I may attain the resurrection from the dead… I press on to make it my own, because Christ Jesus has made me his own.” Say this with me, “I want to know Christ because Christ Jesus has made me his own.” May we desire to know Christ with that sort of intensity, secure in the knowledge that Christ desires us to reveal ourselves to him as well. But let us not let our leaping with joy in Christ’s presence be contained to the wombs of our world, the places where we are comfortable, secure, and nourished. Let us leap throughout out lives, sharing the love of Christ. May we, like John, be a witness to the light of Christ, giving the gift of Christ’s love into this world. Amen. God did not wait till the world was ready, till…the nations were at peace. God came when the heavens were unsteady, and prisoners cried out for release. God did not wait for the perfect time. God came when the need was deep and great. Till hearts were pure. In joy God came to a tarnished world of sin and doubt. 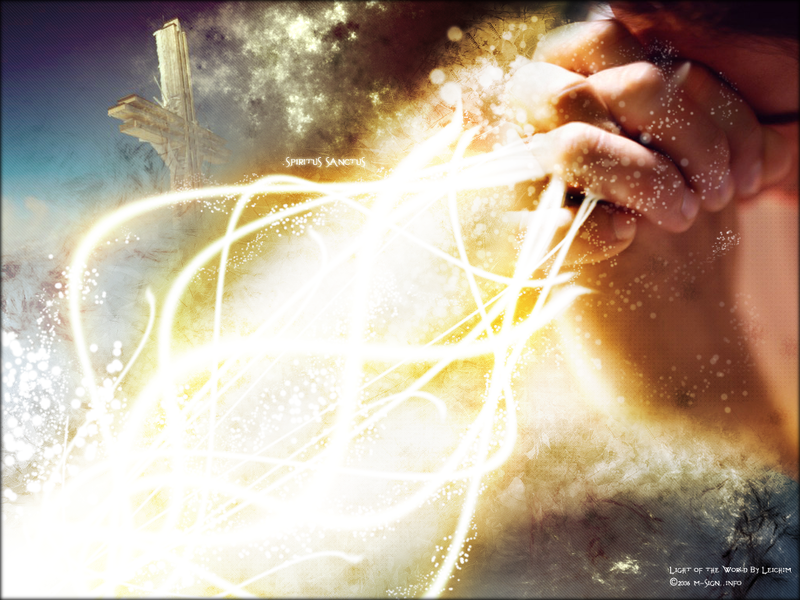 To a world like ours of anguished shame God came, and god’s light would not go out. God came to a world which did not mesh, to heal its tangles, shield its scorn. In the mystery of Word made Flesh the Maker of the stars was born. for to share our grief, to touch our pain, God came with Love: Rejoice! Rejoice! from their soft, plaintive moans. to take in The Occasion. She talks of him in no uncertain terms! under the veil of widow-black. is all in her eyes. daughter of Phanuel of the tribe of Asher. and then as a widow until she was eighty-fourt. 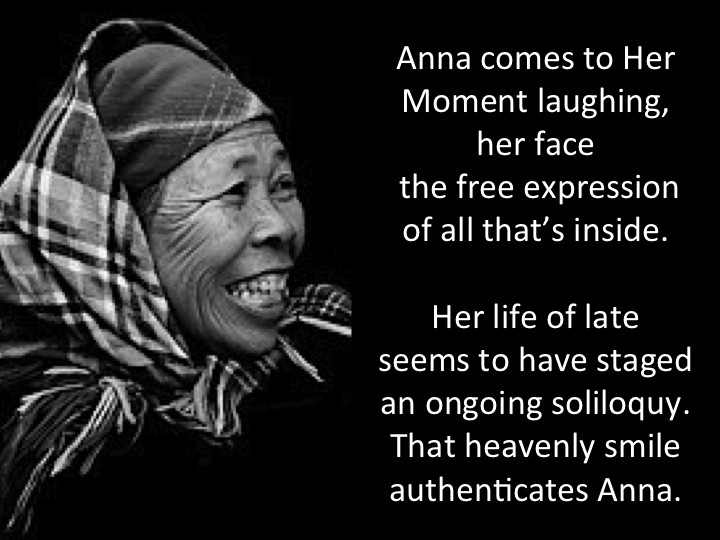 That heavenly smile authenticates Anna. would get beyond temple precincts. by extending her hugs to the Chosen parents. Anna had seen it all. about fulfilling the dreams of children. in a dream come true. 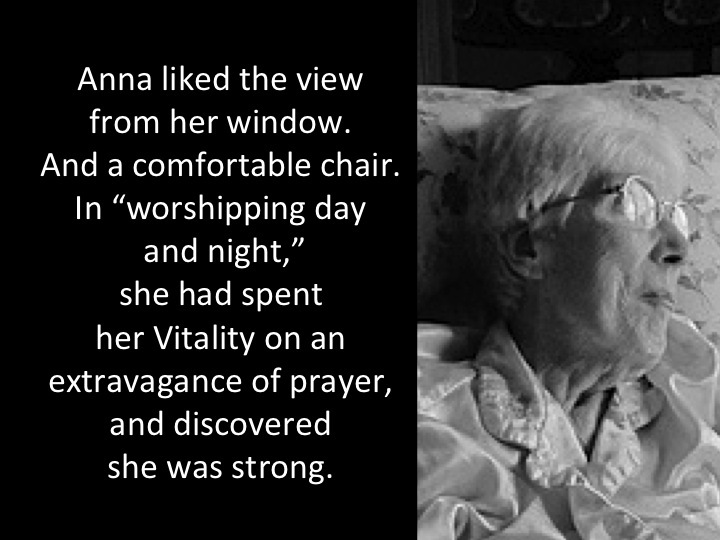 by her life/prayer of eighty-four years. giving her face its certain Lift. Anna liked the view from her window. and discovered she was strong. of faith, hope, and love. she welcomed The Promised One. at any stage of life. 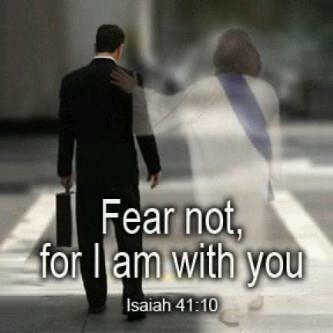 lessens fear of the death-moment. It is my prayer that you too may be a glutton for hope in this Advent season! There’s this book I have called, “Journeys of Simplicity: Traveling Light.” In it are accounts and inventories of many well-known individuals, some historic, some contemporary, including: Thomas Merton, Gandhi, Annie Dillard, Henry David Thoreau. Each account acknowledges a simple collection of possessions. When someone chooses to live meagerly, what they do have reveals quite a bit about what is important to them. This is choosing to live with your answer to the question, “what would you bring with me when stranded on a deserted island?” Taking what is special, what is precious, what is essential. Things made sacred by intentional scarcity. Thomas Merton had a broken rosary and a wooden icon of the Madonna and child. Gandhi had three porcelain monkeys and spittoon. Annie Dillard had bird skeletons and whalebones. Henry David Thoreau had a jug of molasses. Many of the contributors held onto words. Books of the movements of Catholic worship, Milton’s “Paradise Lost.” Websters Unabridged, and Tolstoy. Some of the items are sacred not by their functionality or identity alone, but by their origin: furniture built by husbands, technology gifted by sons. In the church we acknowledge the season of Advent. It begins four Sundays before Christmas, and ends on Christmas day. There are four Sundays in Advent, no more, no less, every single year. In the liturgical year, the season of expectation is restricted to these four weeks. Anyone who has turned on a television in the past two months will have heard: Christmas is coming, Christmas is here, there is shopping to do, there are so many days left, there are only so many of that special toy available, there are only so many of that new gadget in stock. We must hurry, we must rush, we must buy. In the Church, the season of Advent actually begins today. There’s sacredness to this allotted time. There are things to do this month to prepare, but they don’t have a whole lot to do with Black Friday or Cyber Monday or 50% off on Christmas things even before Thanksgiving. They have to do with coming to worship, seeing those without, and living in the hope of a Messiah come to earth who lives on through us even now, more than 2000 years since his birth. I’m not saying that you can or should turn on and off your excitement for Christ’s presence by looking at a calendar. But let’s treat these weeks as special. Let’s treat this month as more than a to-do list of shopping, baking, and decorating. This time of Advent is a time of expectation, a time of hope, a time of remembering the gift of Jesus Christ, the rarity of his birth, and the exceptionality of his life. I’m not suggesting we should all become Henry David Thoreau, go out into the woods and strike out on our own in order to get right with God. But there is great value in living lives deliberately focused on the hope and expectation of God incarnate in this world. And it is very possible to live deliberately within the lives we currently inhabit. As a young child I remember trying to fall asleep on Christmas Eve, electric with the excitement that tomorrow would bring and specifically thinking, “tomorrow something could happen that would change my life.” I wasn’t delusional enough to imagine that I would be receiving a pony or a car or my own mansion or anything else extravagant, but I remember the distinct hope that Christmas offered: the chance that something new would enter my life that would make things a little bit more fun, or a little bit easier, or in the very least, something that would make me a little bit more fashionable. Over the years there were gifts that changed things for me: as an eight year old there was a piano keyboard that allowed me more flexibility in my budding musical skills, when I was eighteen there was a computer printer that allowed me to print my assignments all throughout the school year, two years ago I received a financial contribution that helped me travel to Switzerland and Rome. Each of these things enabled me to live just a little bit differently, made my life just a little bit easier. Not every gift that we give and receive this year will change our lives, and I don’t think that’s necessary, but it does help us to have perspective of the one gift that always does, Christ’s presence in our lives and in this world. Talk about life changing. 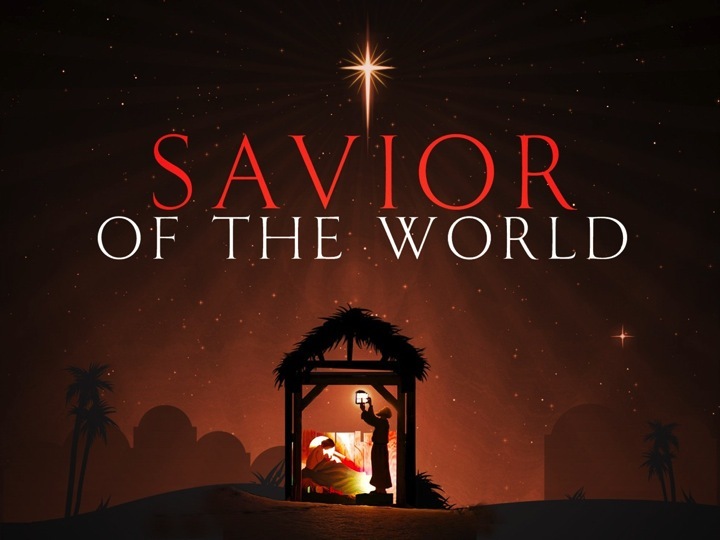 This amazing gift, the promise of our Messiah come to earth, is far more than the gimmicks of commercials, far more than that keyboard piano to my eight-year-old self. “He shall execute justice and righteousness in the land.” “All flesh shall see the salvation of God.” These are not empty promises, these are real and true guarantees of the salvation that accompanies the fulfillment of Christ’s Kingdom in this world. We can make a decision what we bring with us into this Advent season. Will we bring our to-do lists? Our anxiety at failing to meet expectations? Our anger towards disconnected family members? Our fear of what may come in approaching year? Or will we bring our openness to God’s movement in our worship? Our expectation in Christ’s life changing presence? Our hope in Christ’s power in this world? Our contentment in the promise of God’s grace? 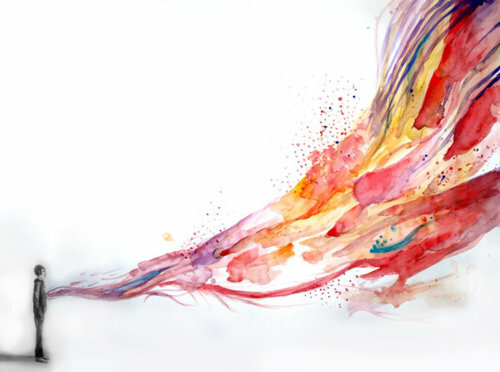 Whatever we bring with us will inevitably shape our experience and color our emotions. We have a choice of what this Advent will be. One tool that our church is giving to each of you this Advent season is an advent calendar called, “Simple Gifts.” This calendar provides devotionals for each day with scripture, a lesson, and a small, simple action we can take. Through the reading of these devotions and our response through action, it is my prayer that we may draw nearer to Christ. As we take our offering today, we will also be handing out Advent calendars. There are plenty for each person to have one, so please feel free to take one for yourself and someone else you think would be blessed by it, but if you are able to go through the calendar as a family, you are welcome to take just one for your family. This is a calendar for your own devotional experience with Christ. Your salvation doesn’t hang on your ability to read each entry on the calendar or accomplish each simple gift action it suggestions, but it just might enrich your experience of God in this Advent season, it just might change your life. This year, allow yourself to quiet your mind, clear out the clutter of what the world expects you to accomplish this season. Allow yourself to receive the gift of Jesus Christ come into this world. Allow yourself to hope that Christ’s presence in your life will change your life. God did not wait for the perfect time. God came when the need was deep and great. God came, and God’s Light would not go out. God came with Love: Rejoice! Rejoice! This past Thursday, November 29th, would have been Madeleine L’Engle 94th Birthday.